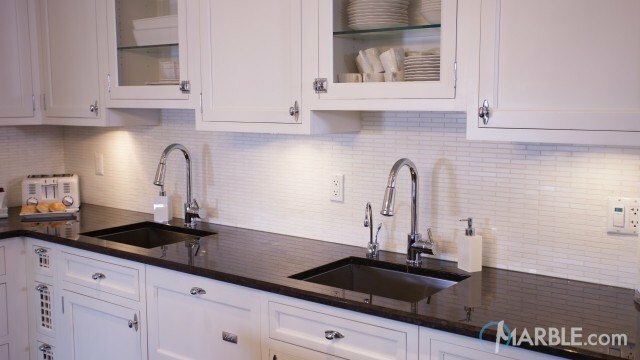 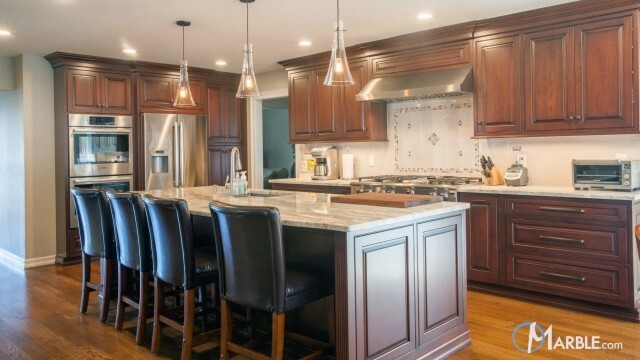 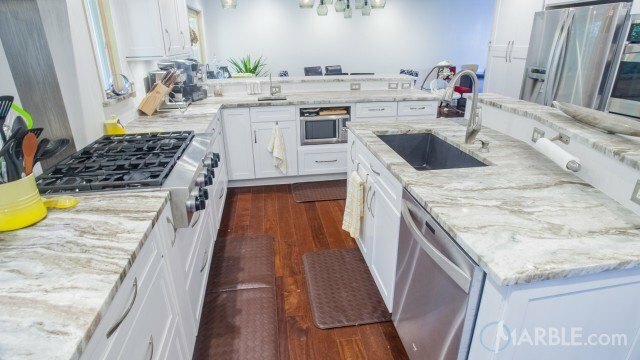 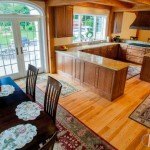 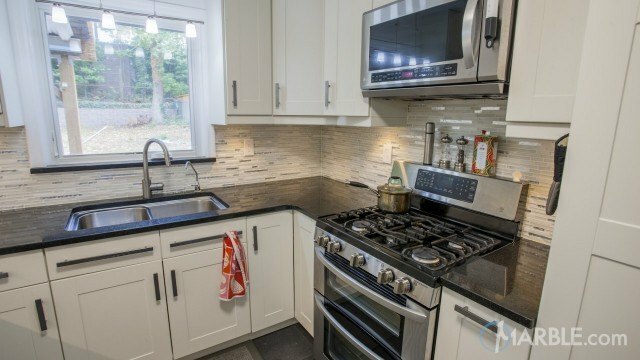 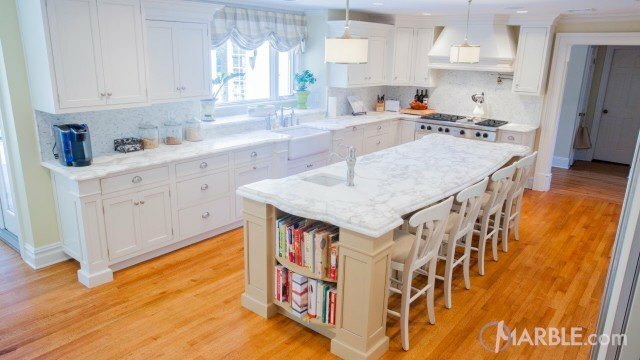 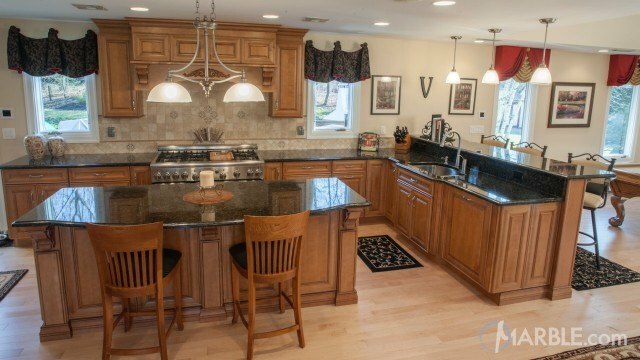 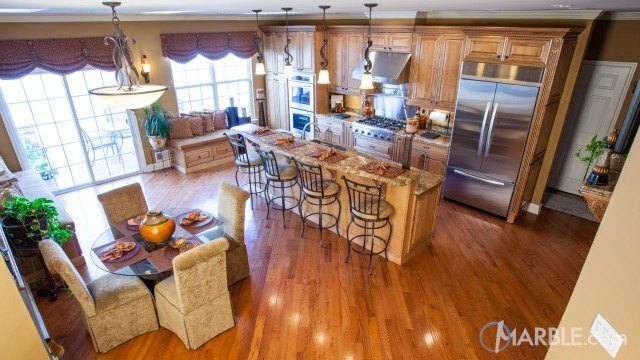 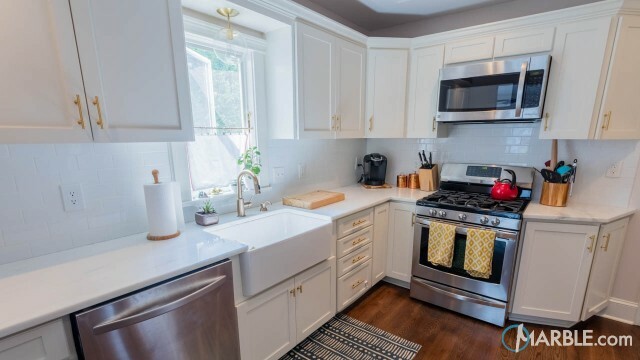 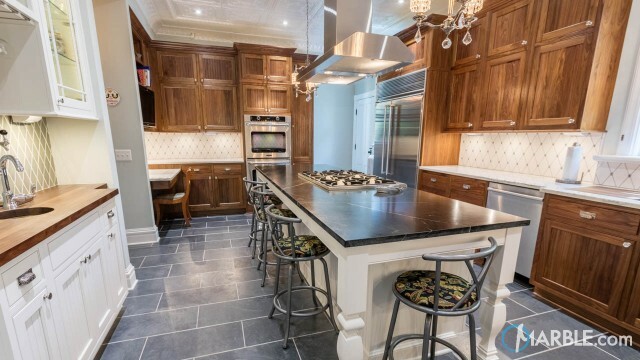 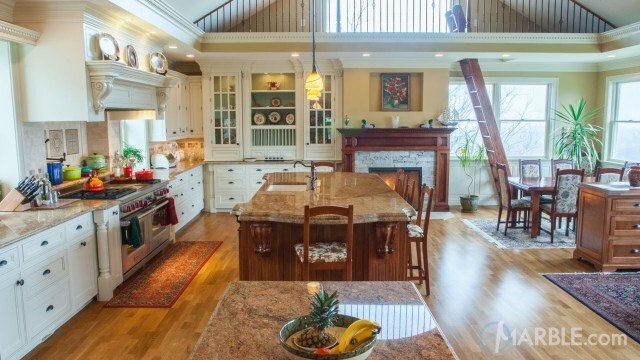 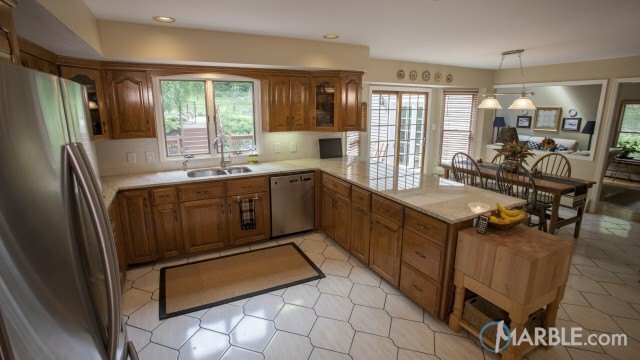 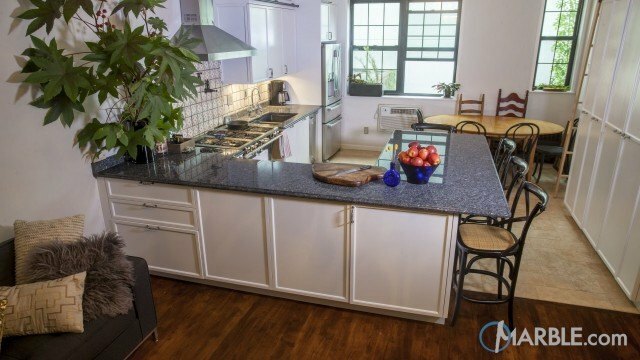 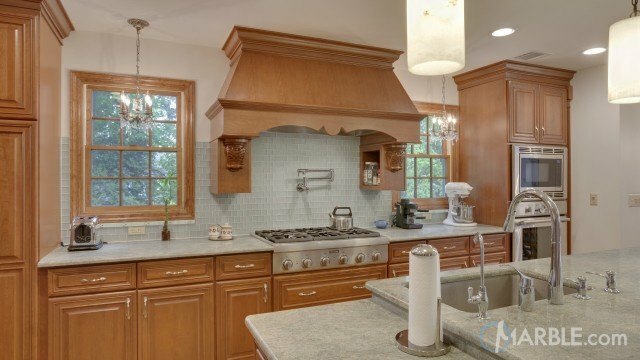 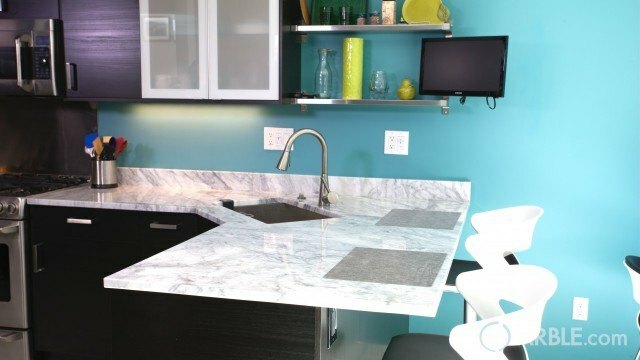 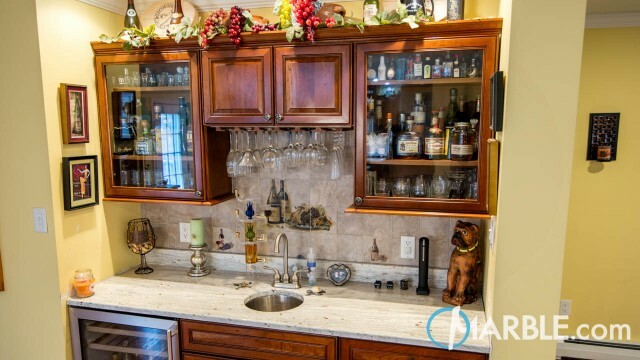 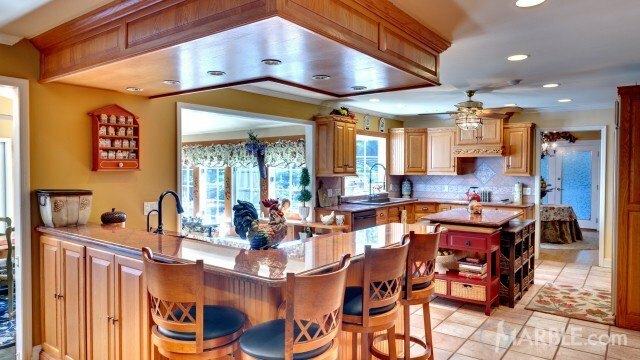 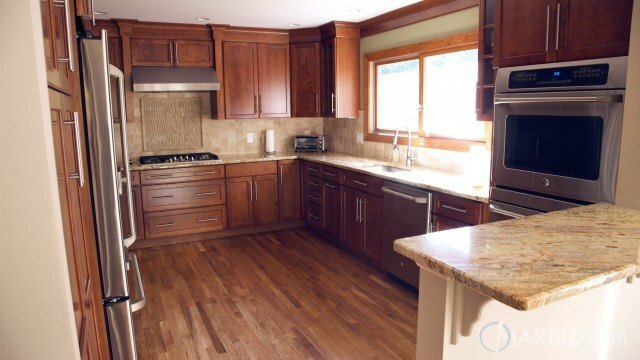 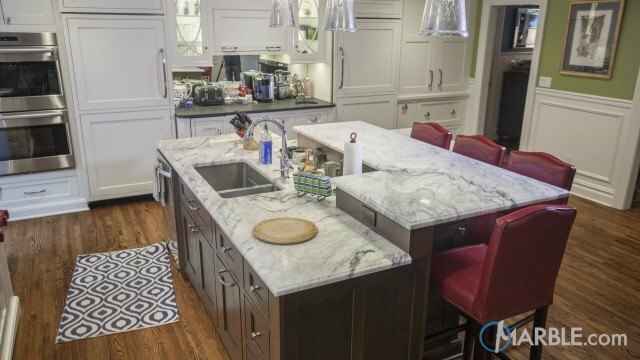 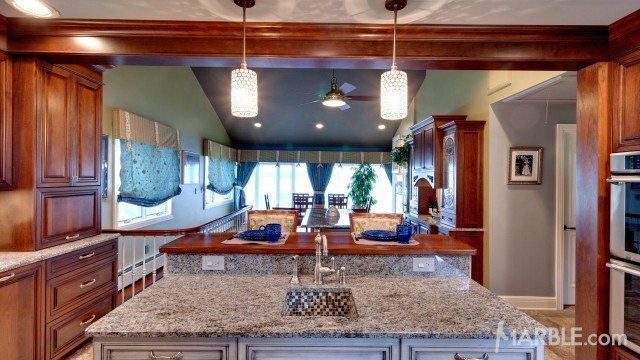 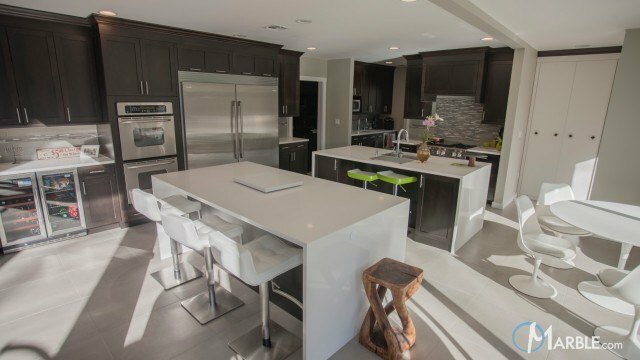 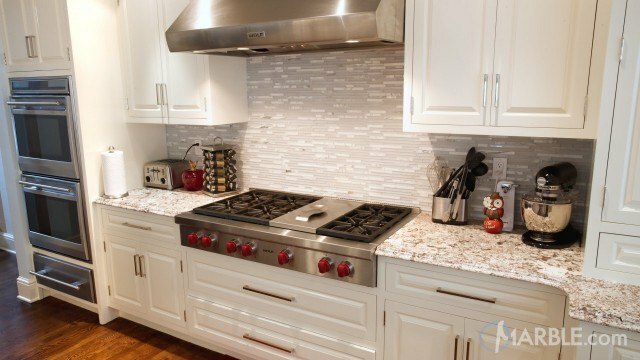 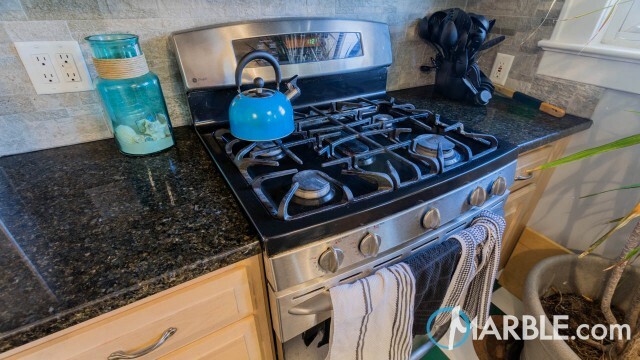 This open kitchen is great for cooking and serving. 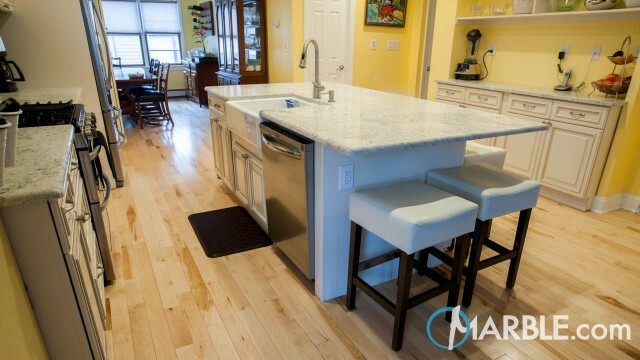 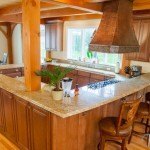 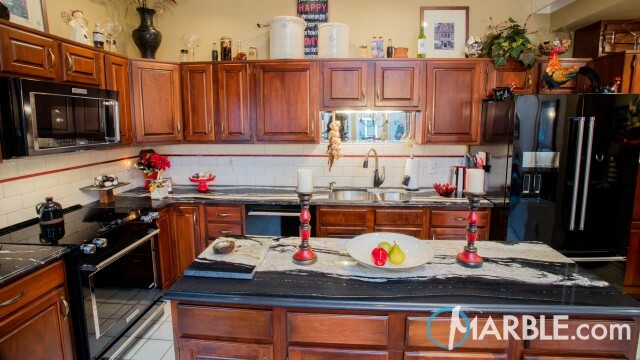 The two tier counter top gives the cook and guests separation while keeping social contact open. 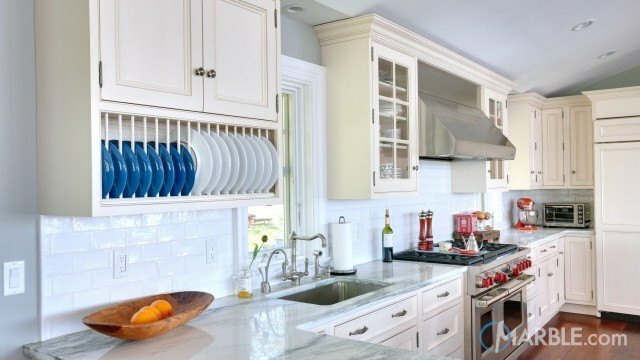 Cleaning and serving is also a breeze. 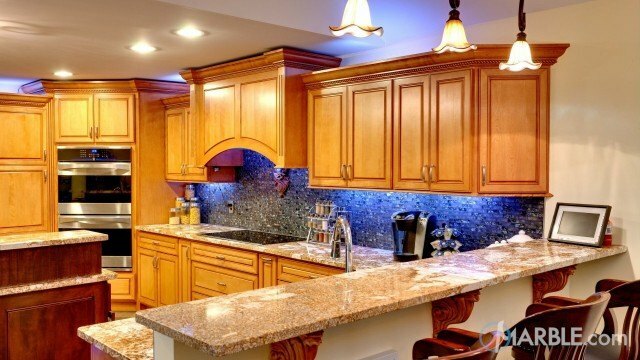 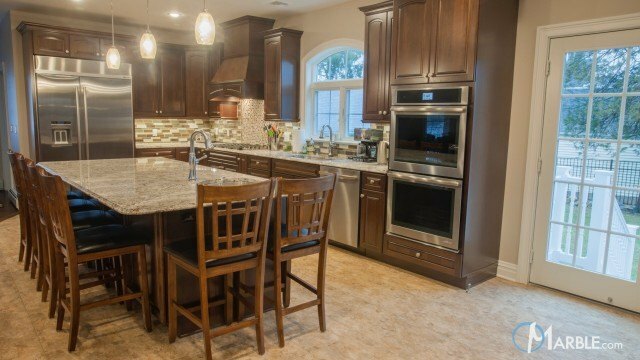 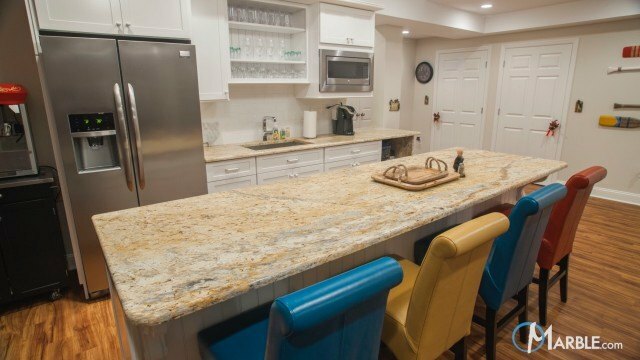 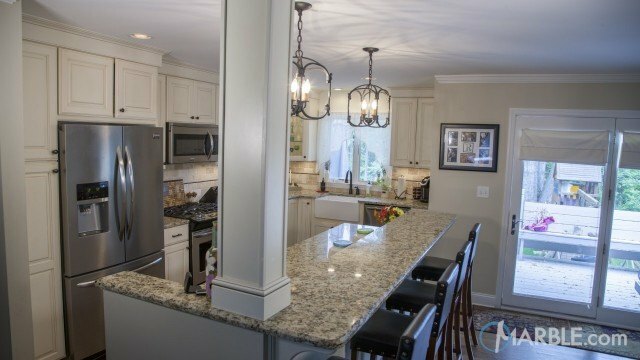 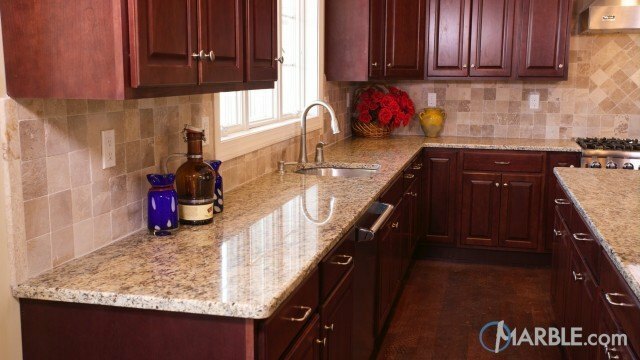 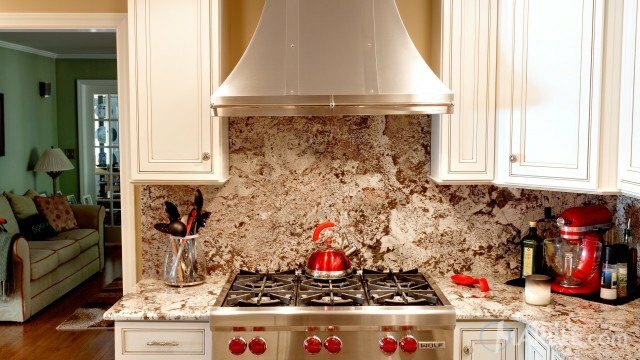 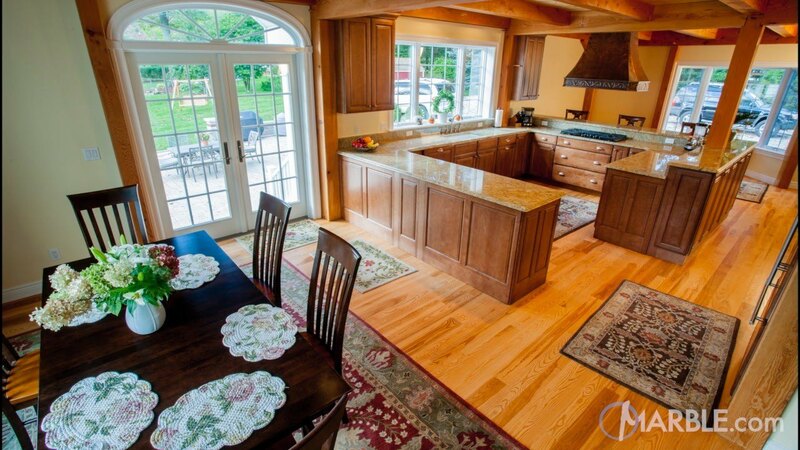 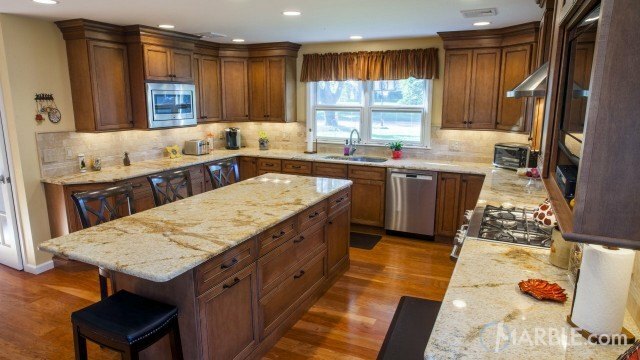 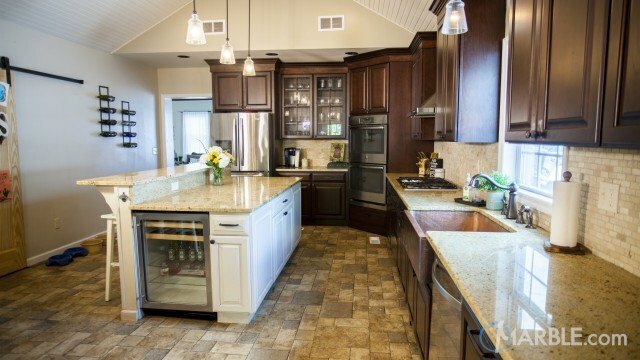 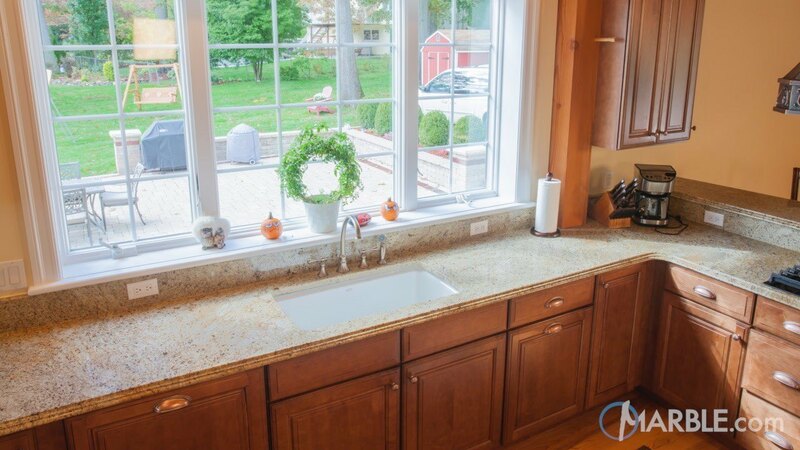 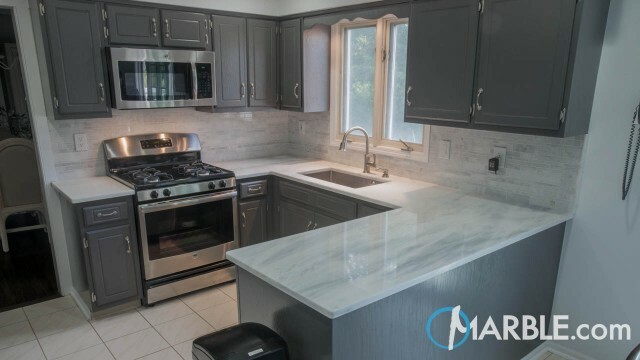 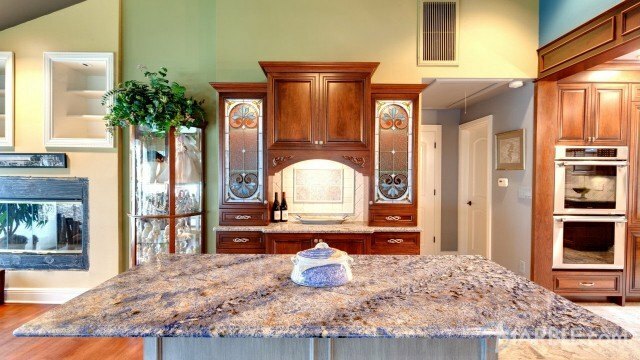 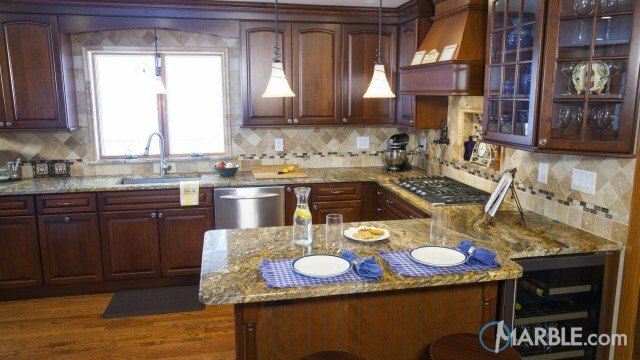 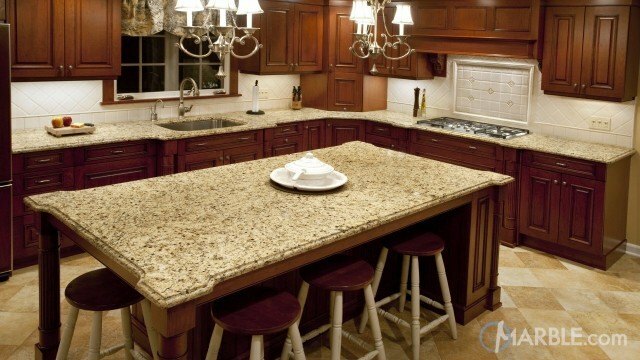 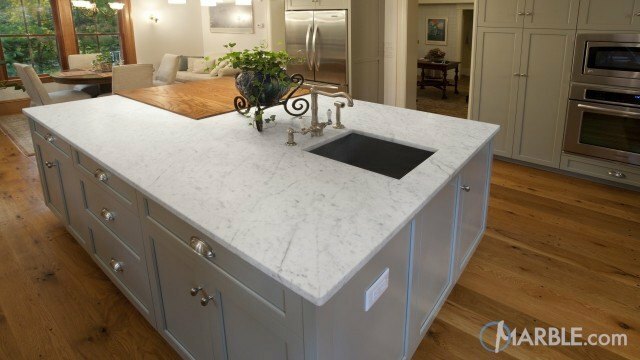 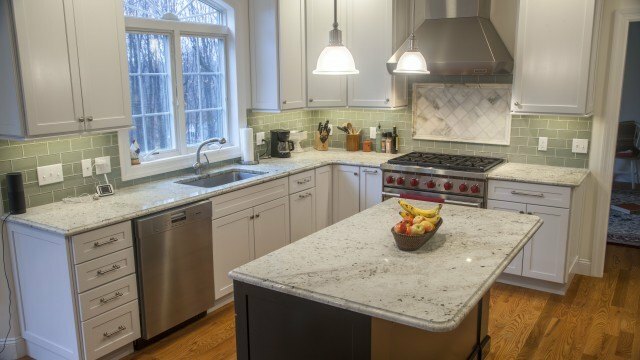 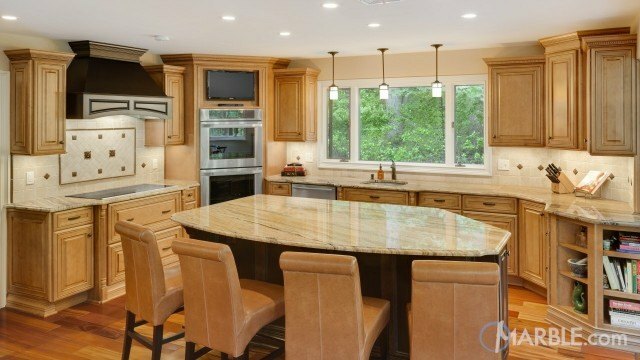 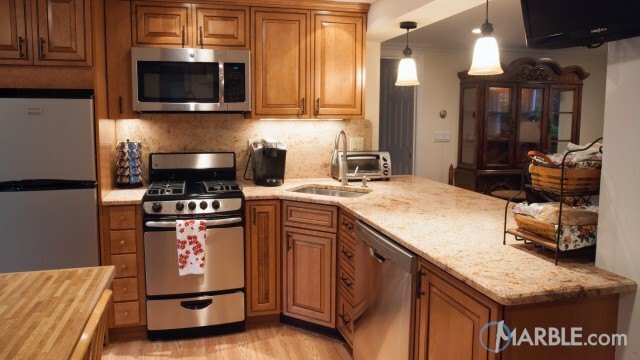 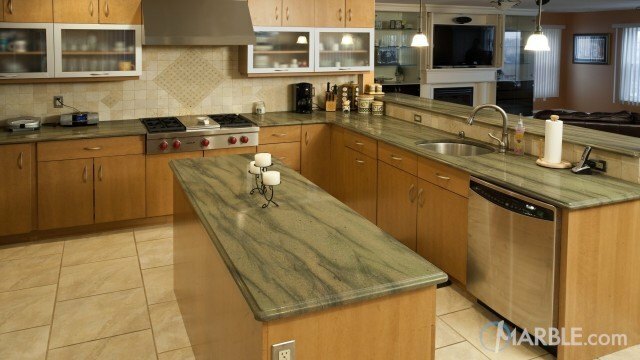 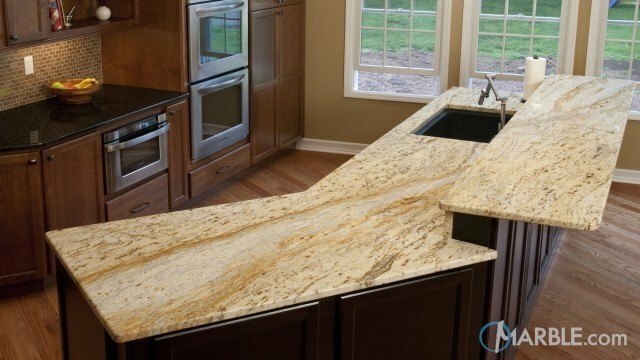 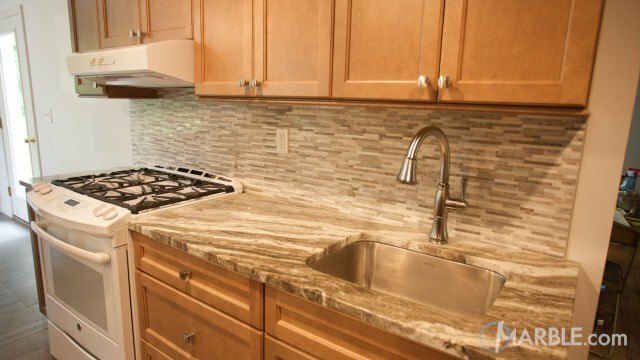 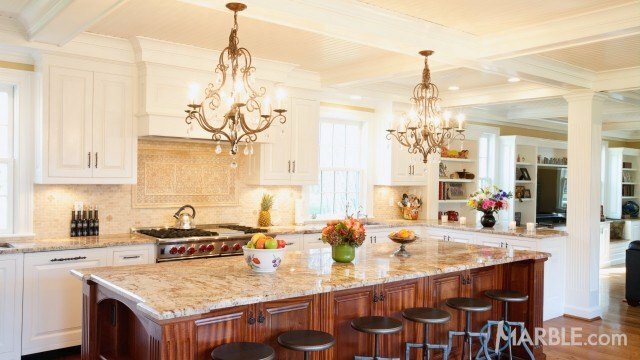 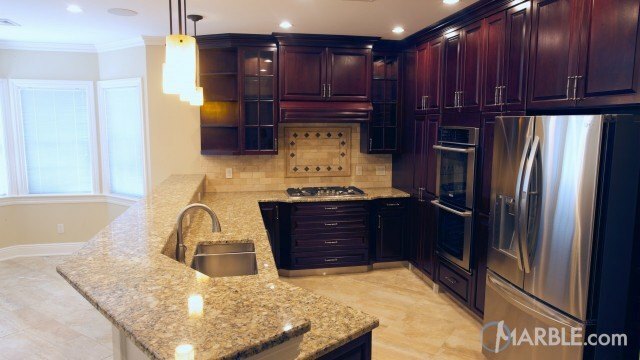 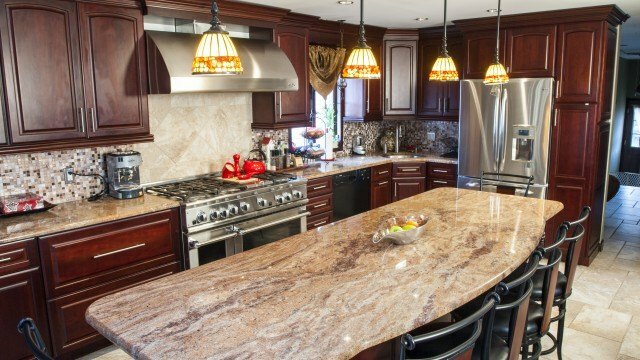 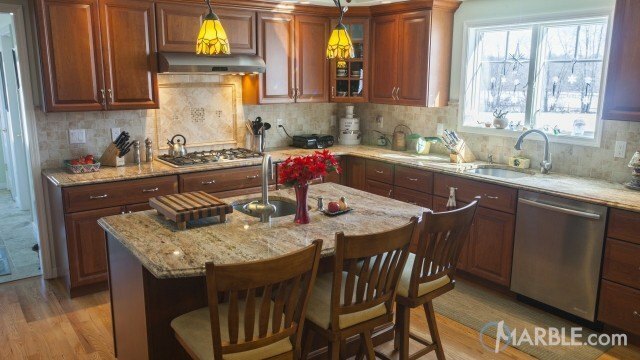 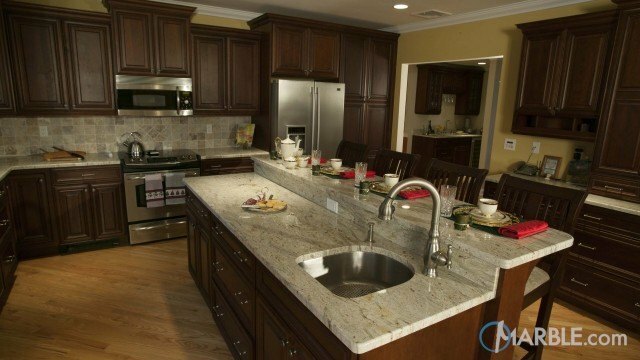 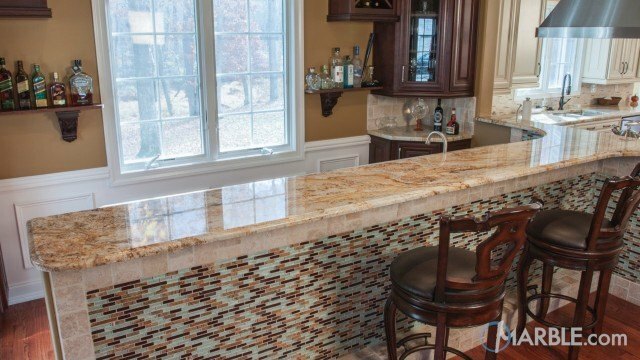 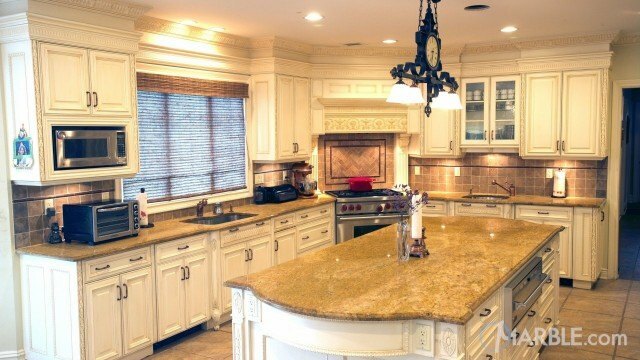 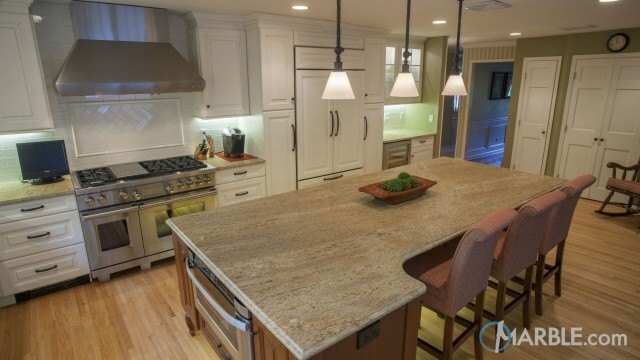 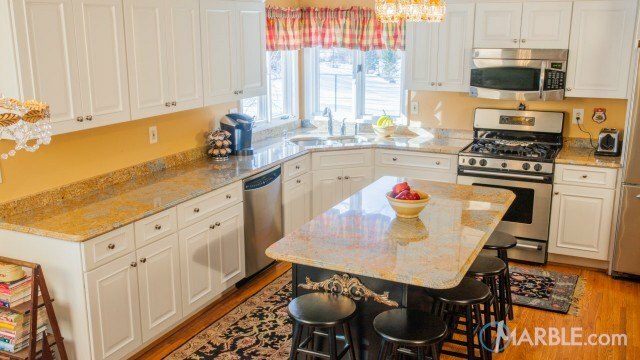 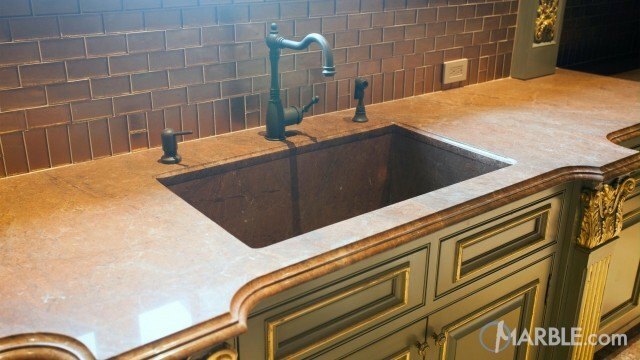 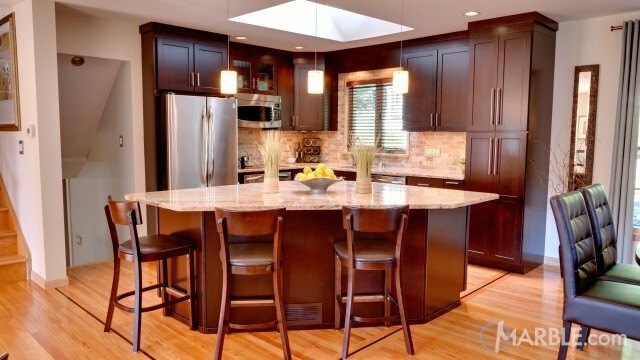 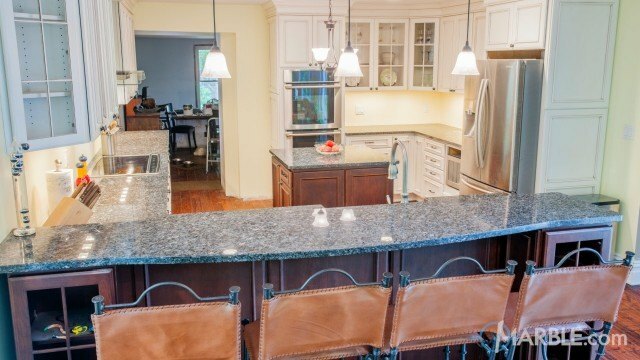 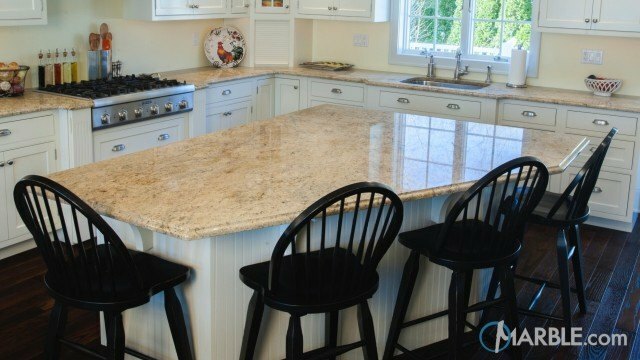 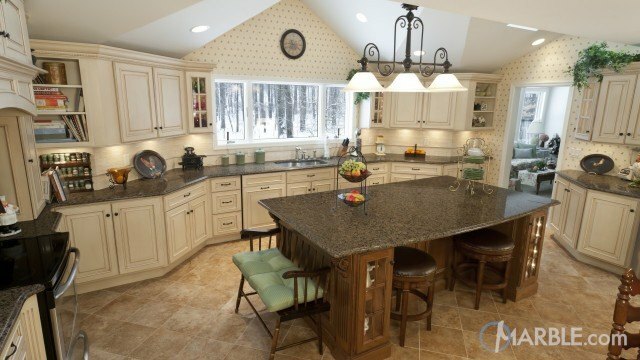 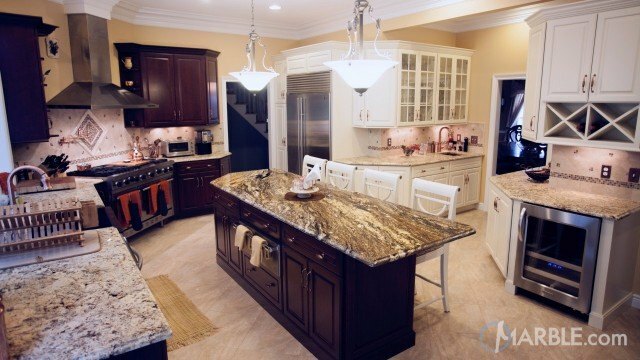 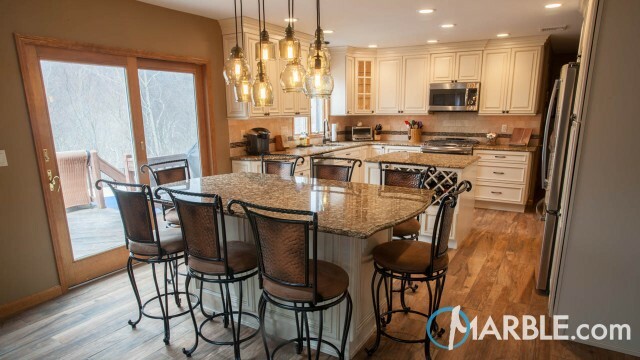 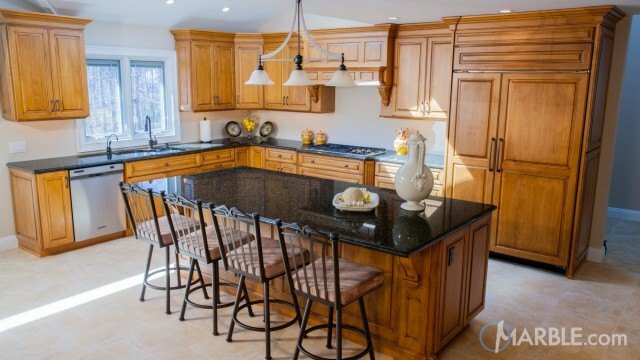 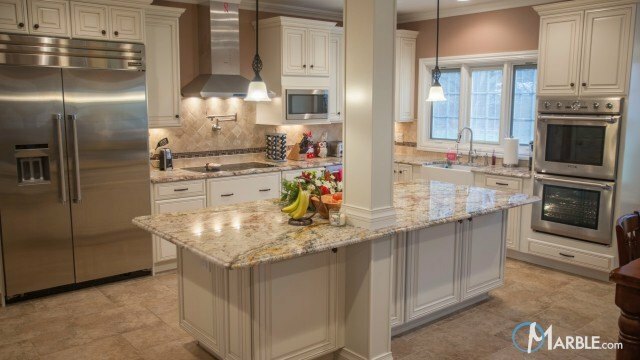 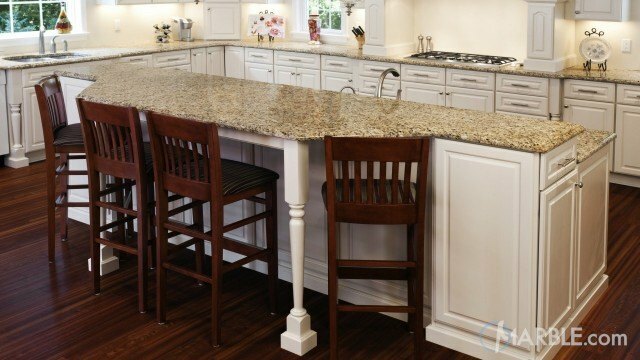 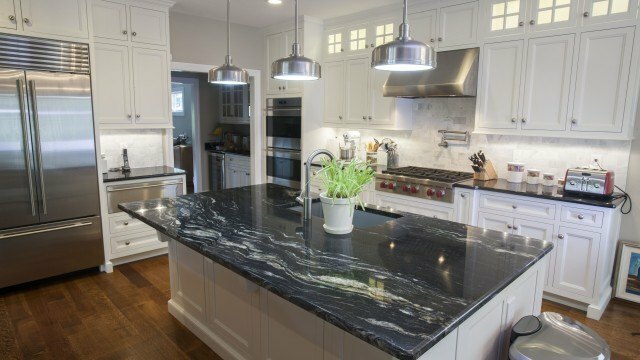 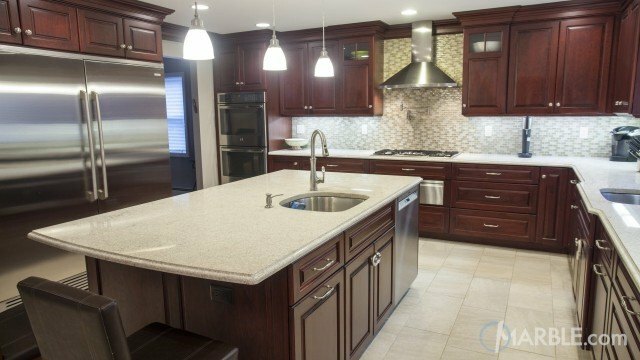 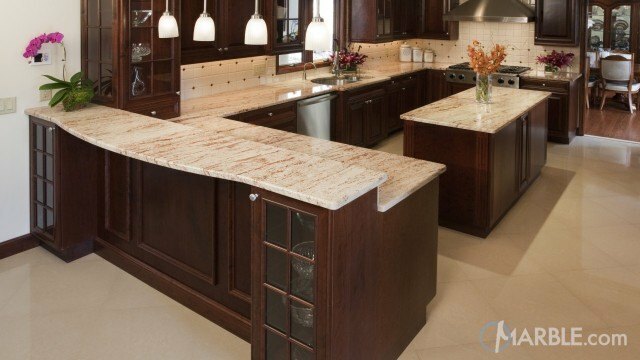 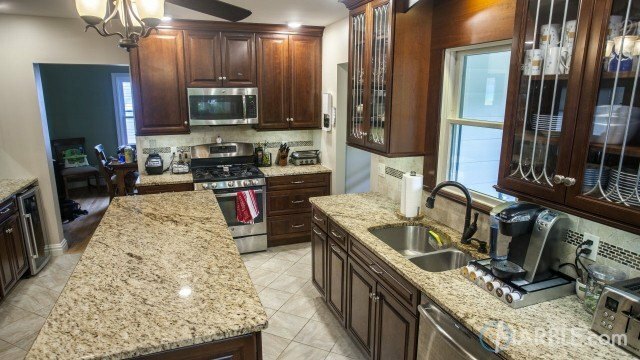 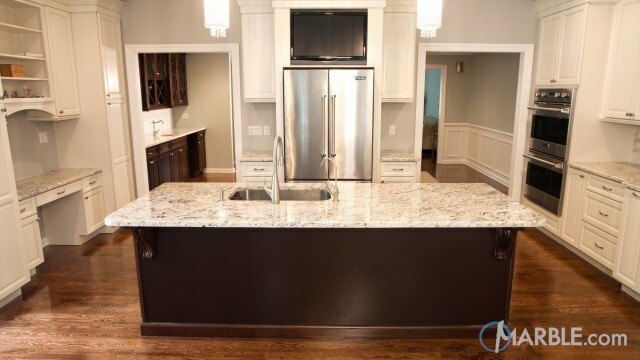 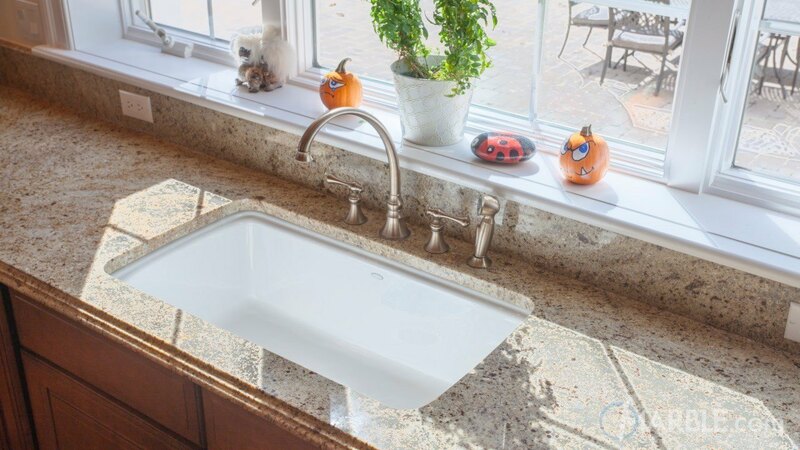 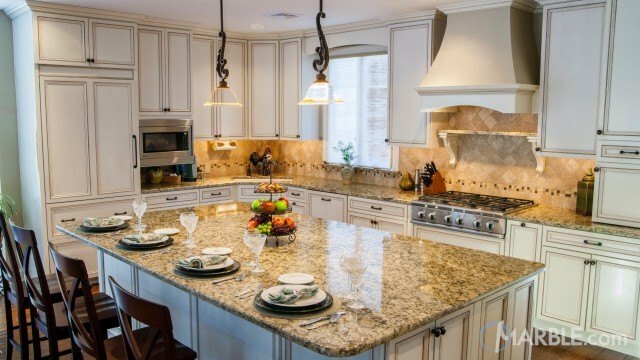 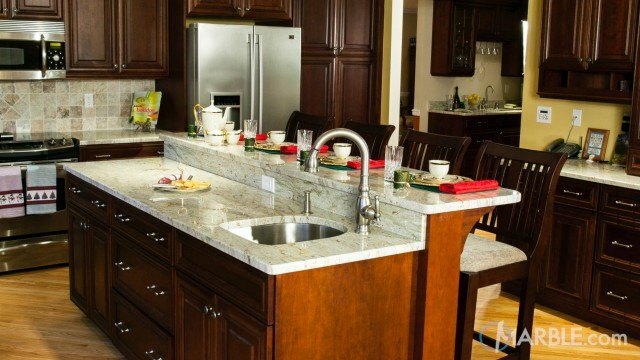 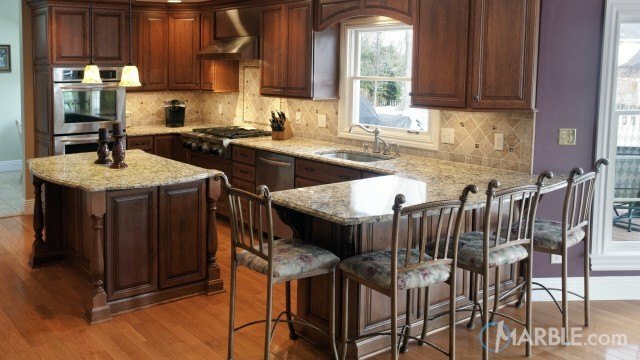 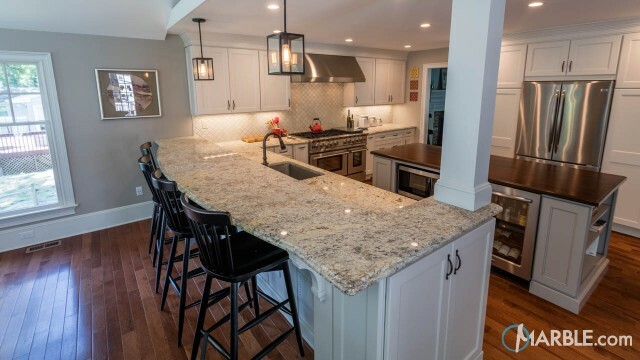 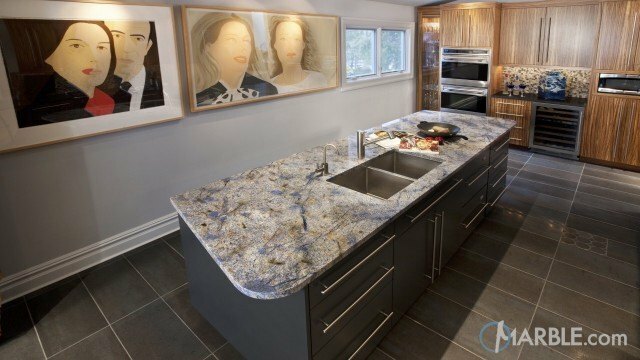 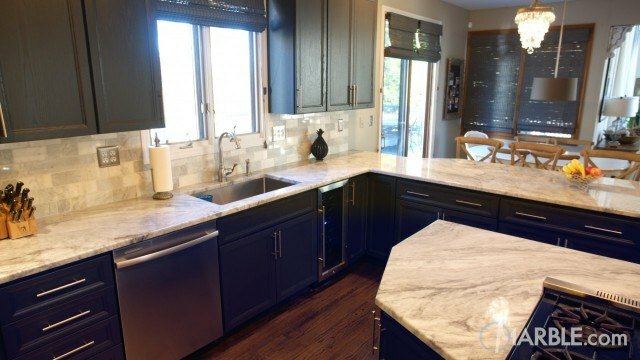 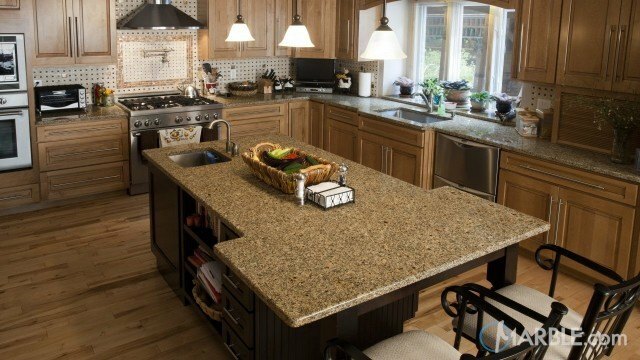 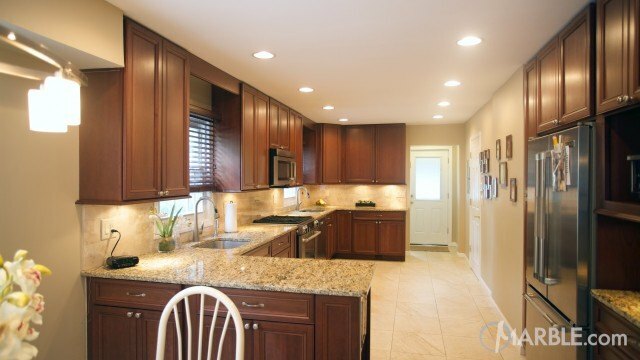 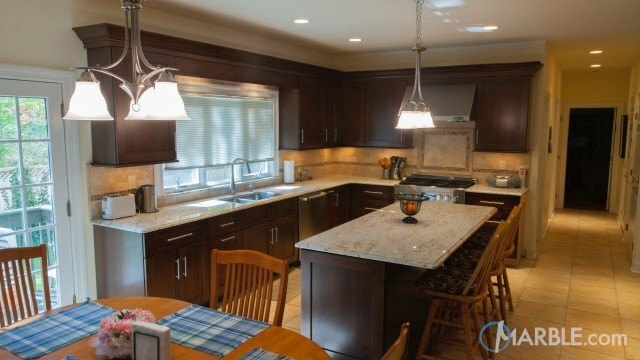 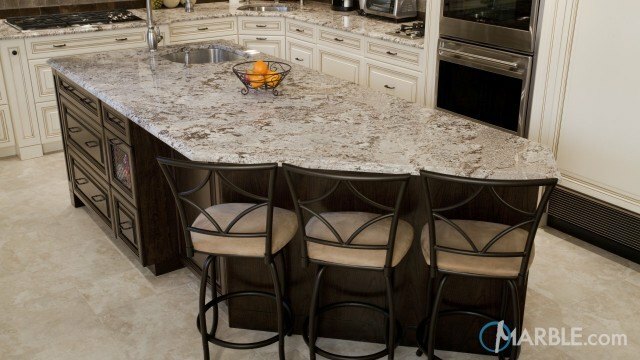 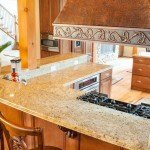 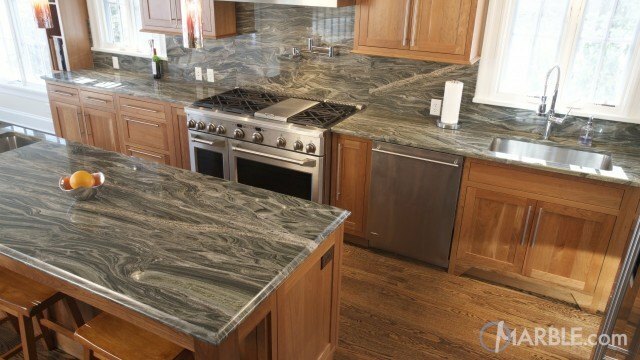 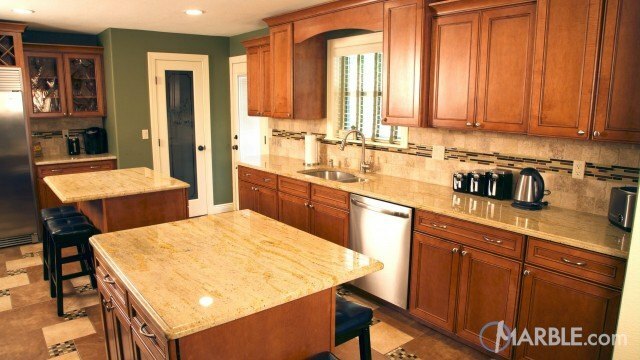 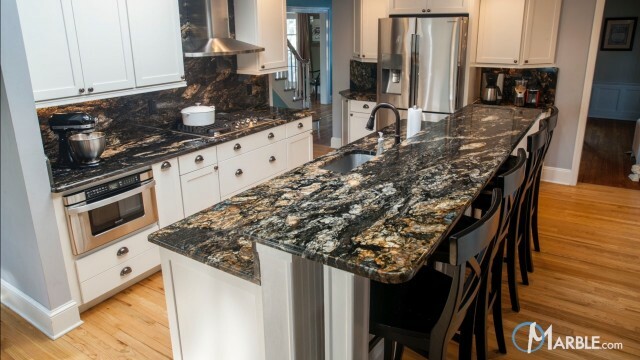 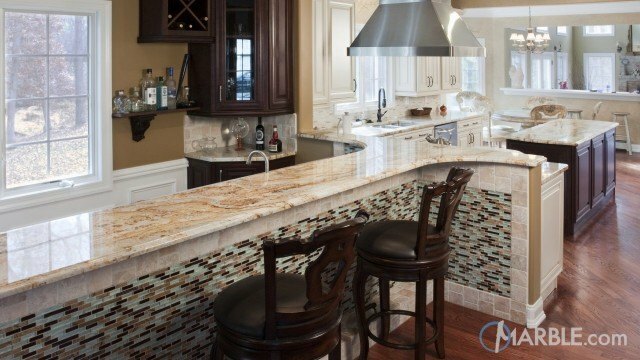 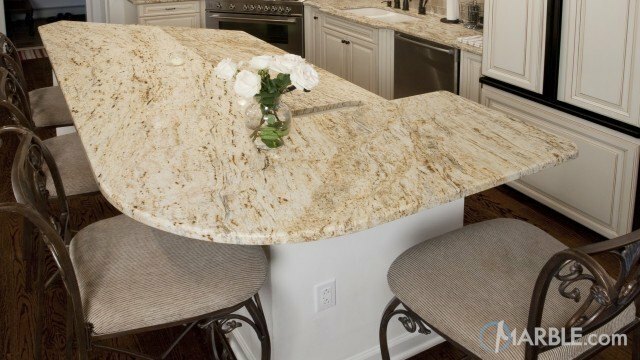 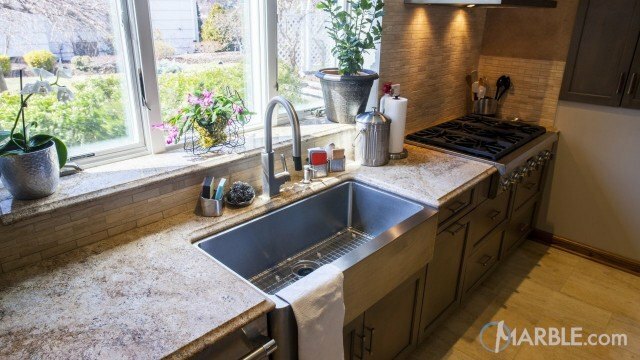 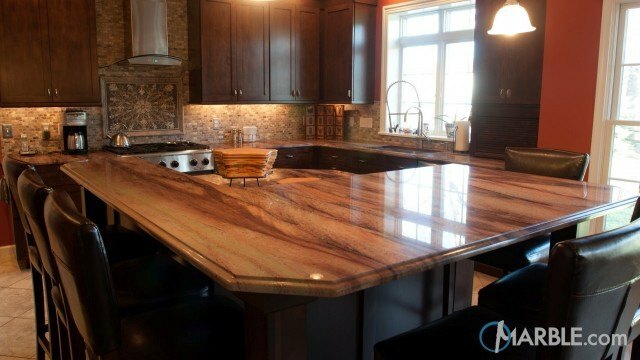 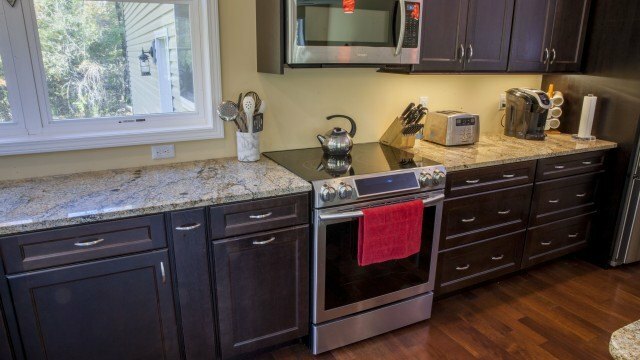 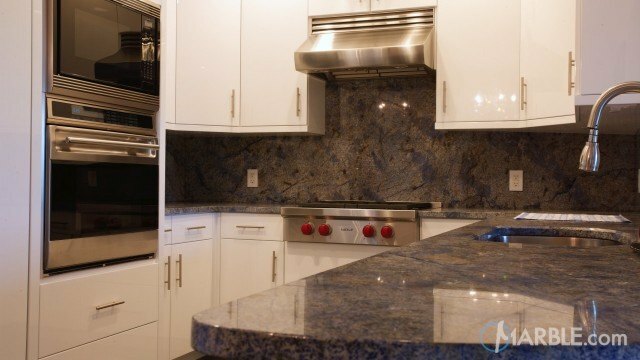 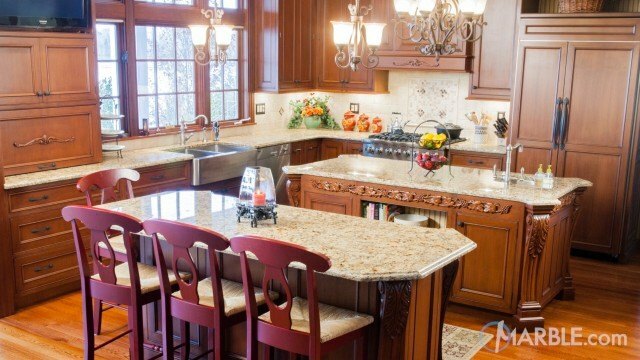 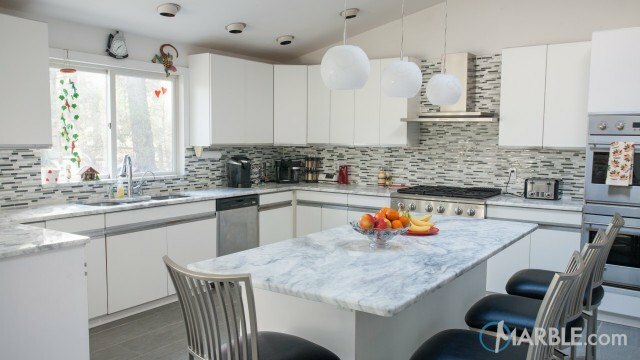 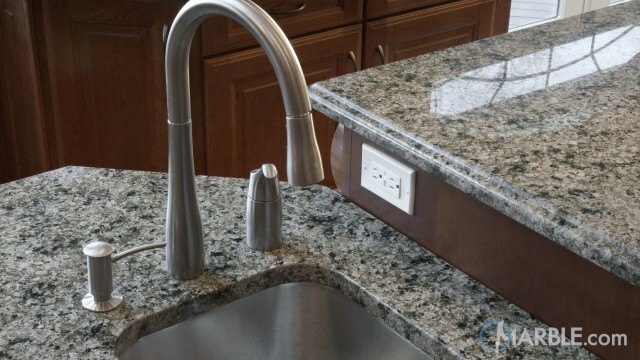 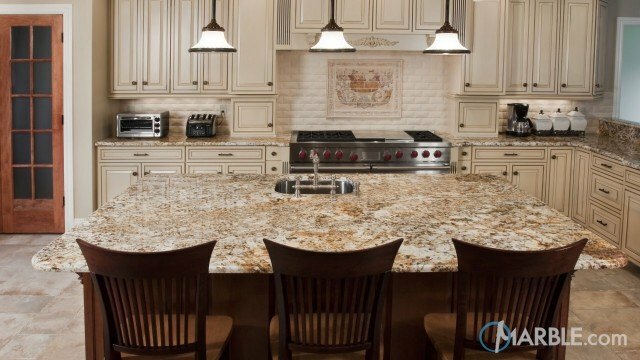 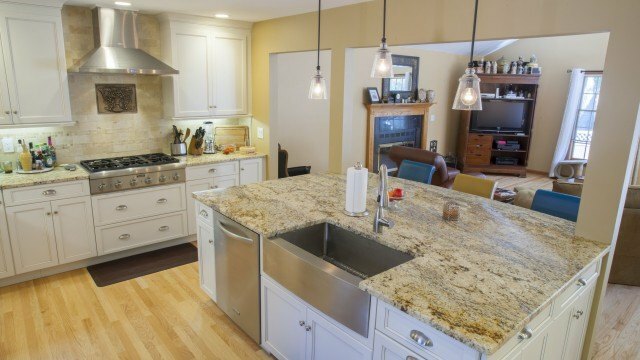 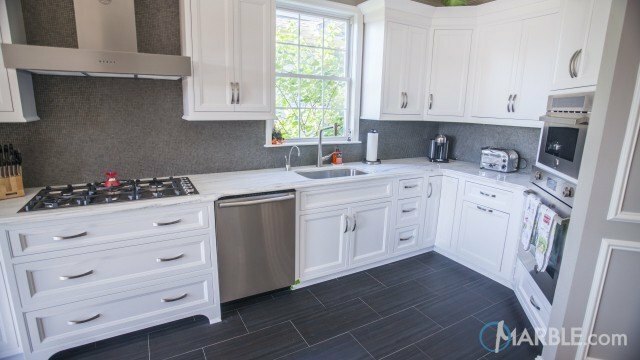 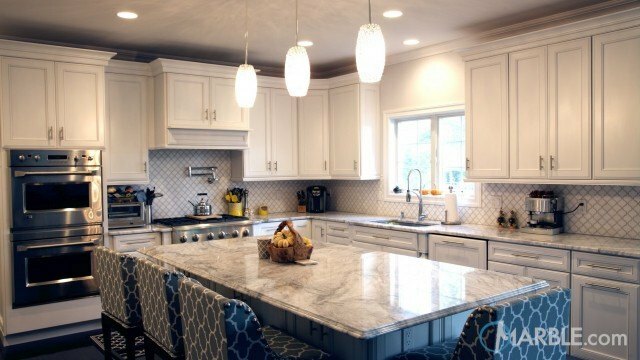 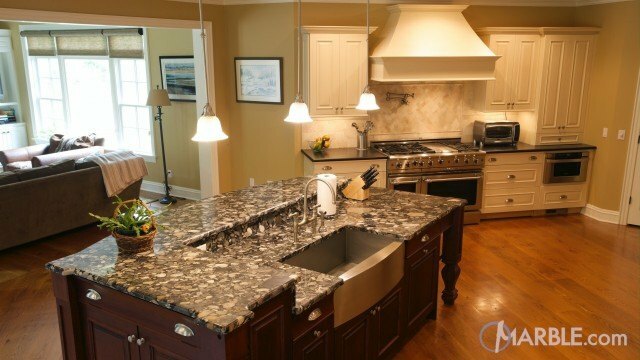 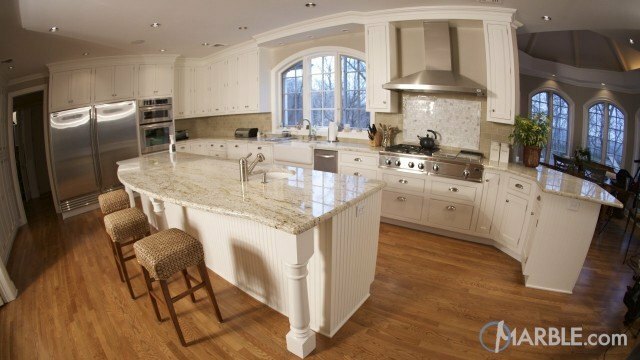 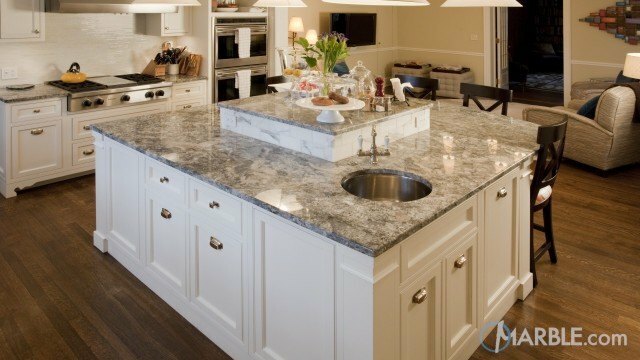 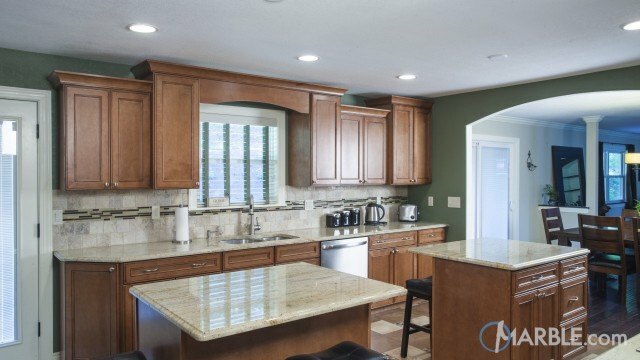 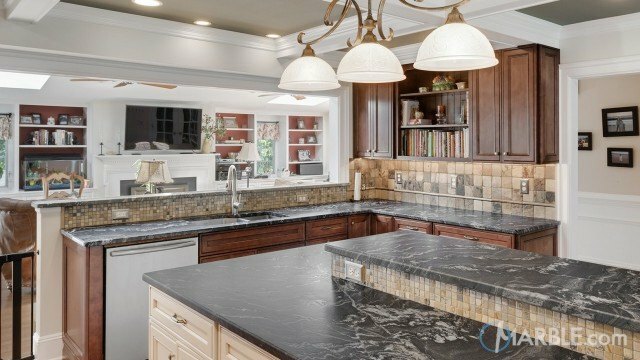 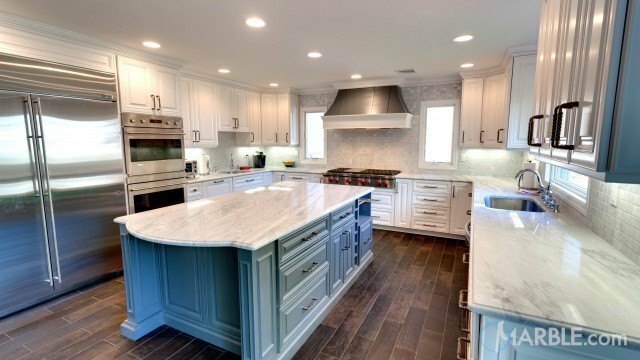 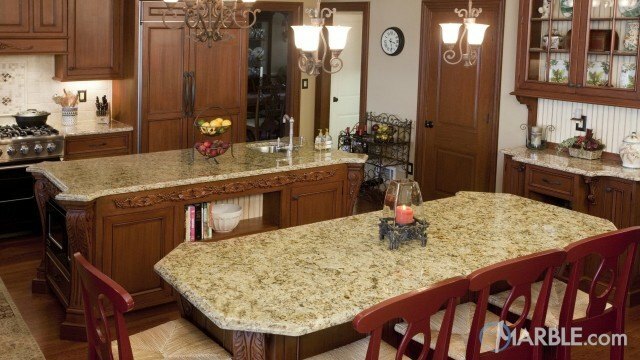 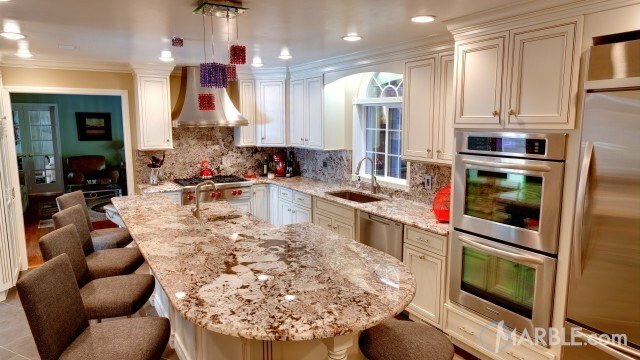 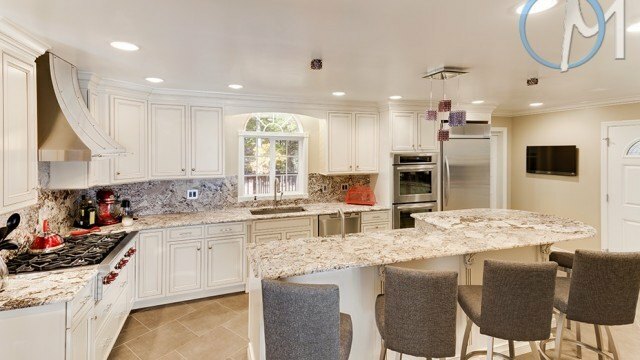 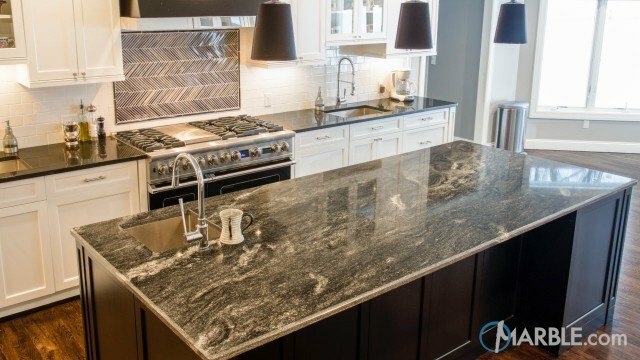 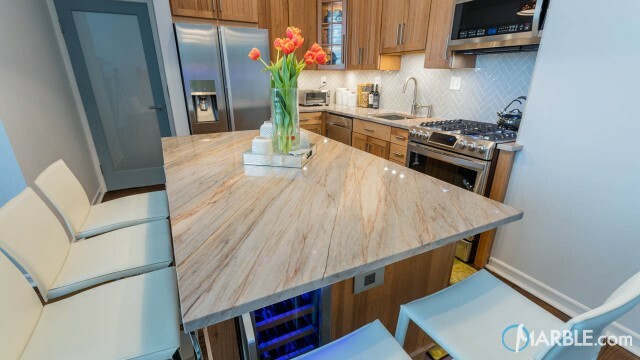 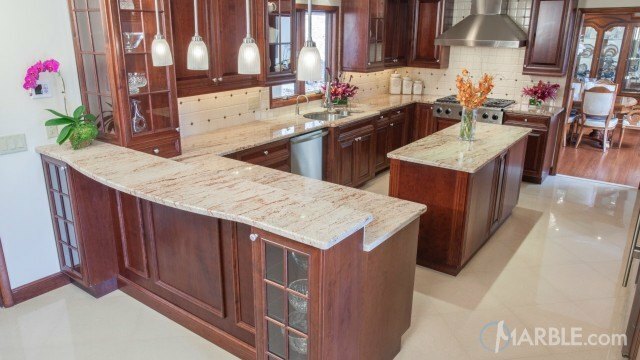 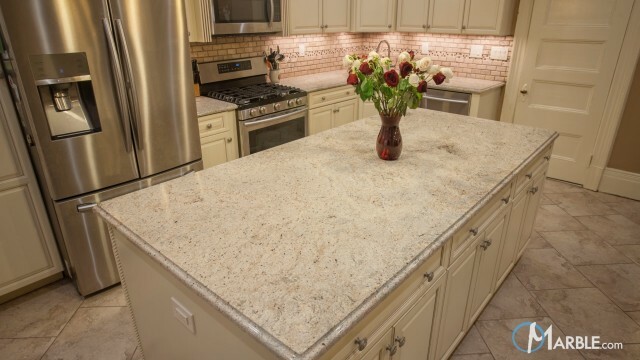 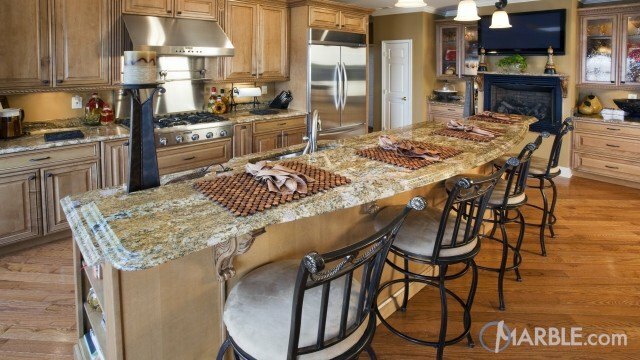 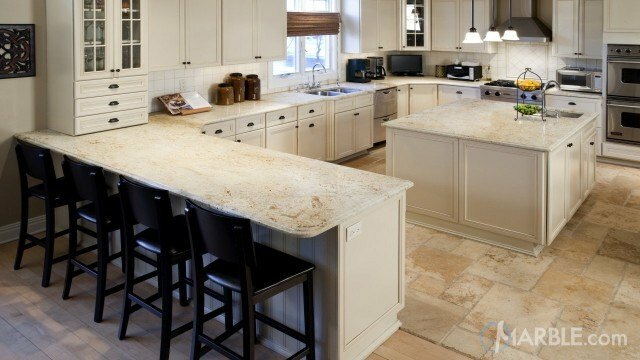 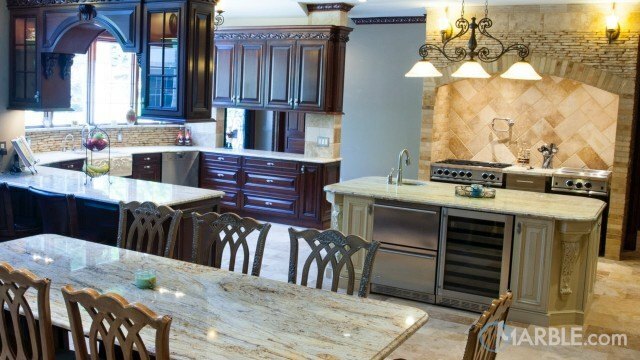 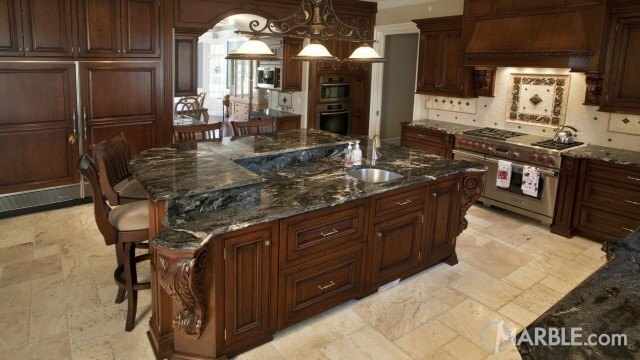 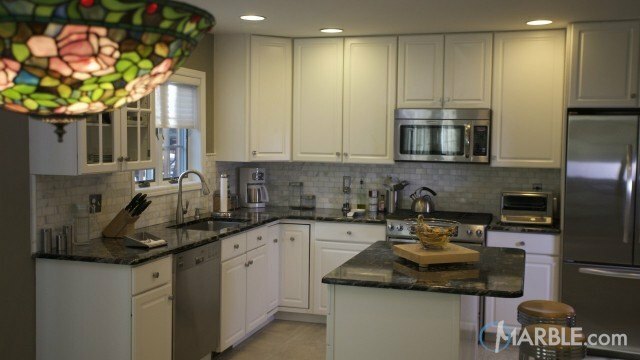 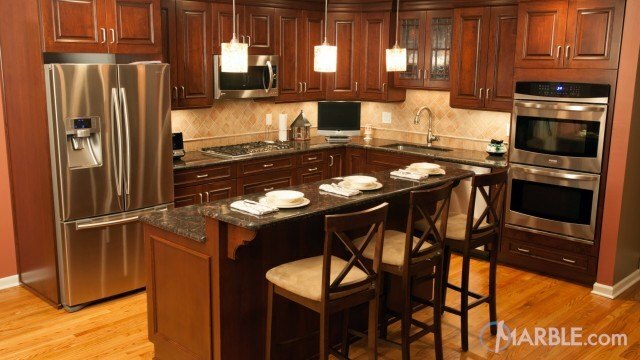 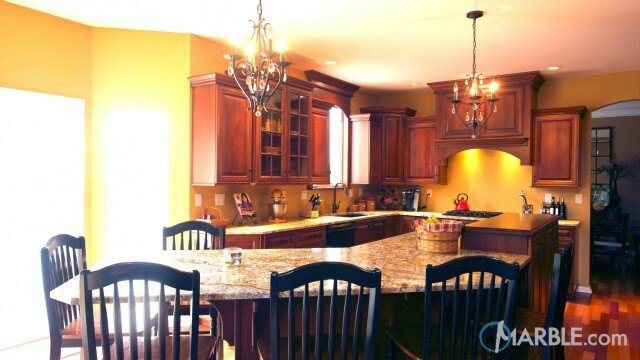 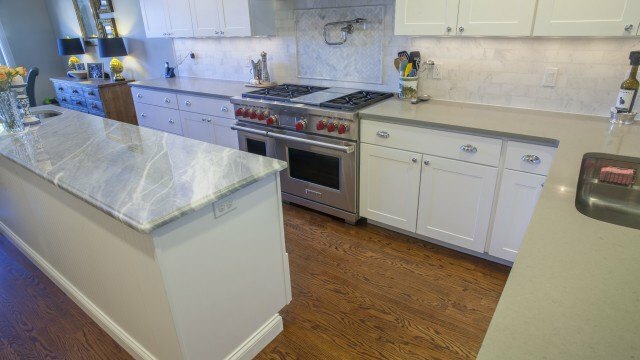 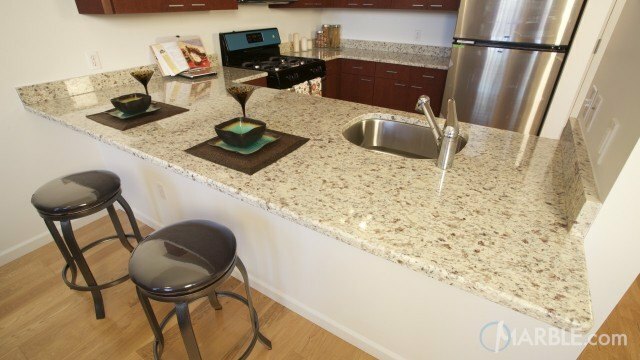 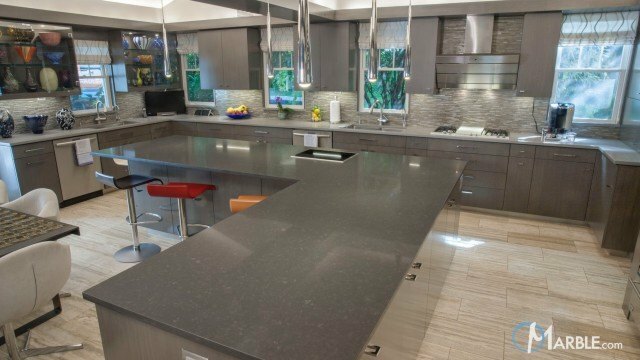 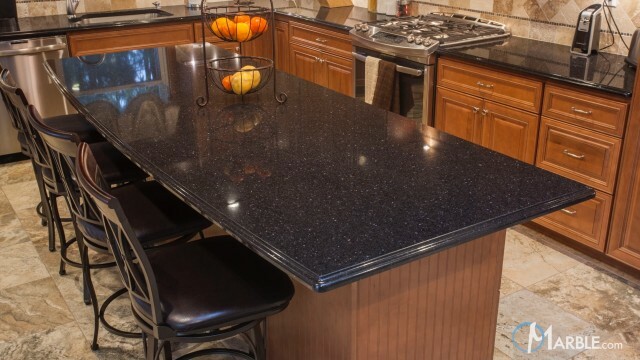 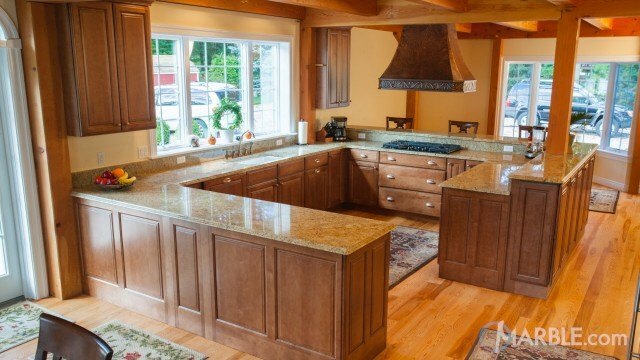 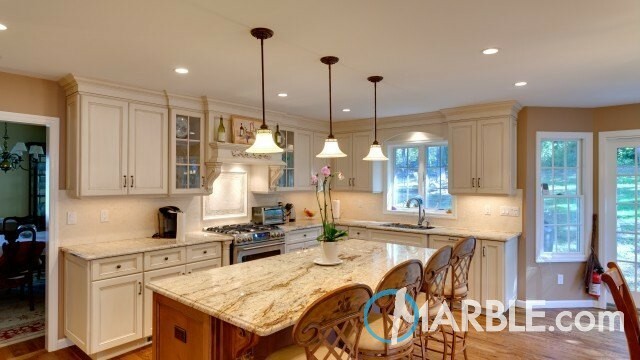 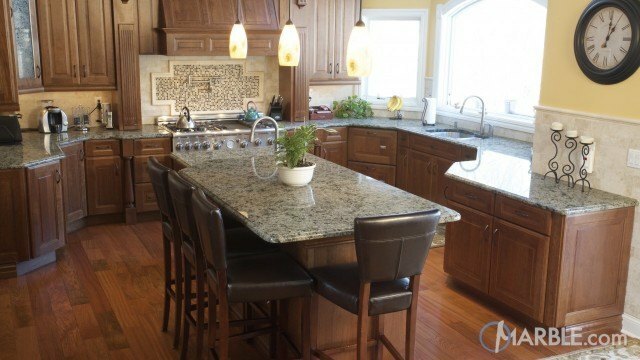 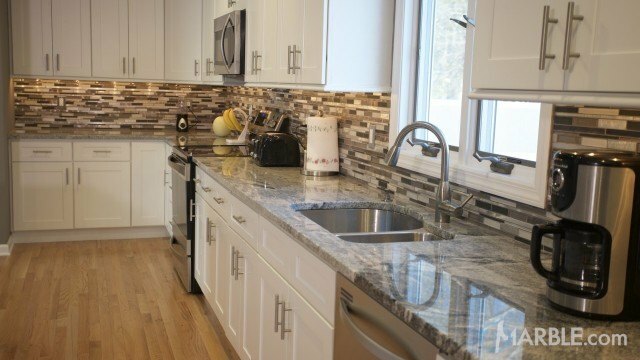 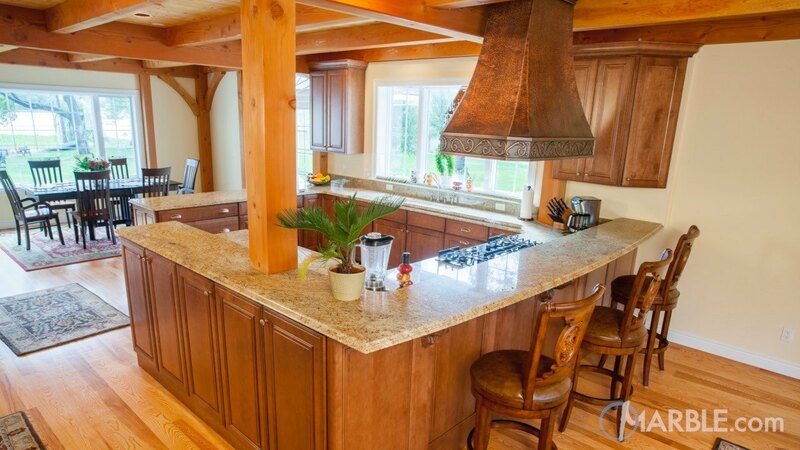 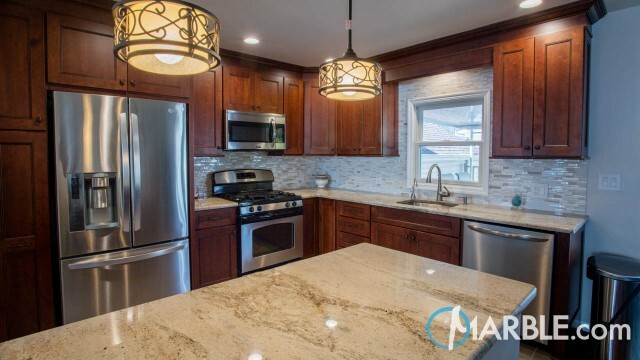 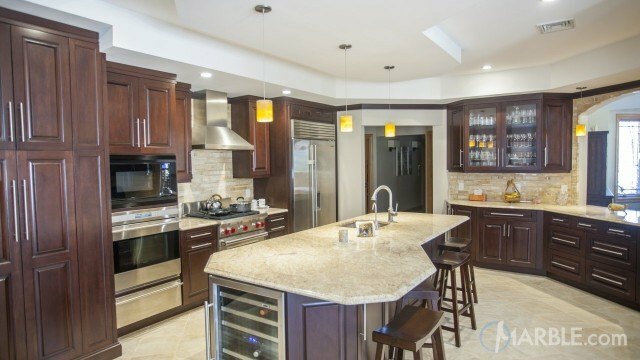 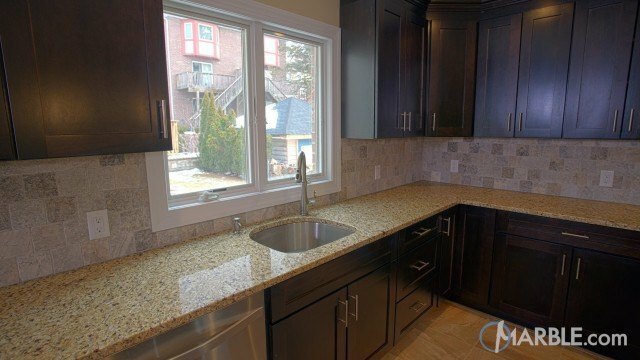 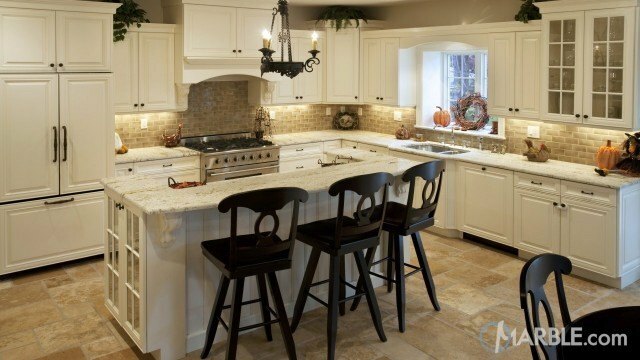 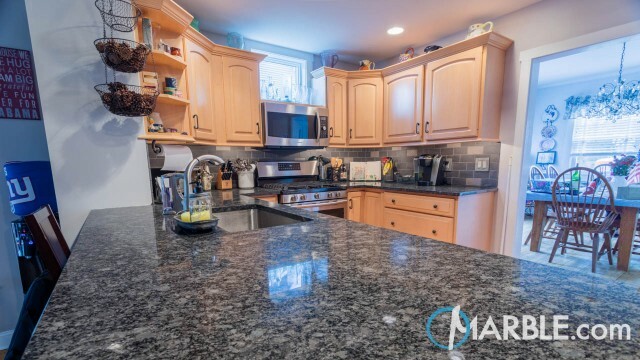 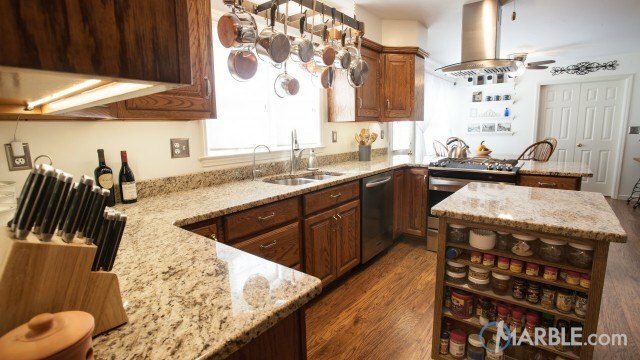 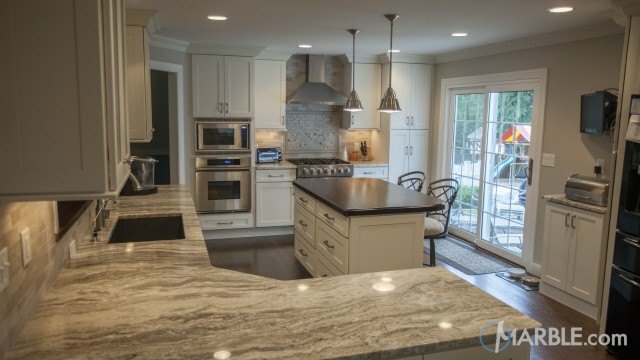 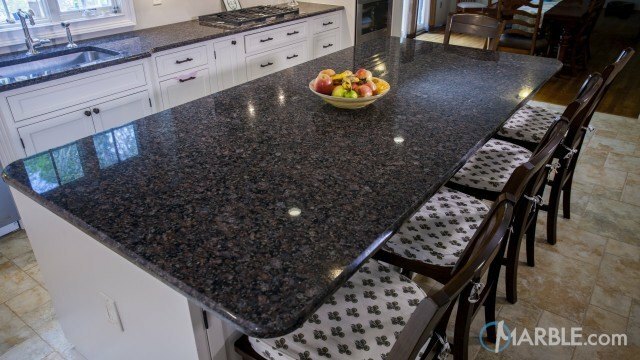 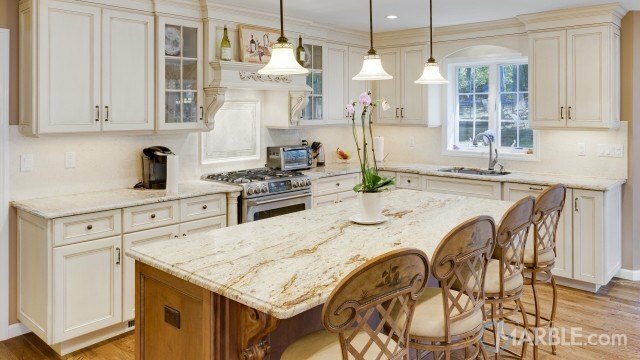 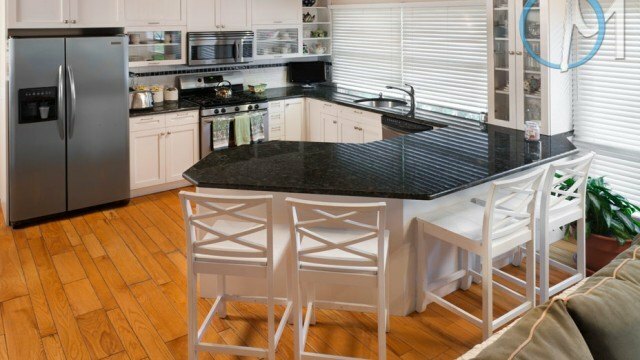 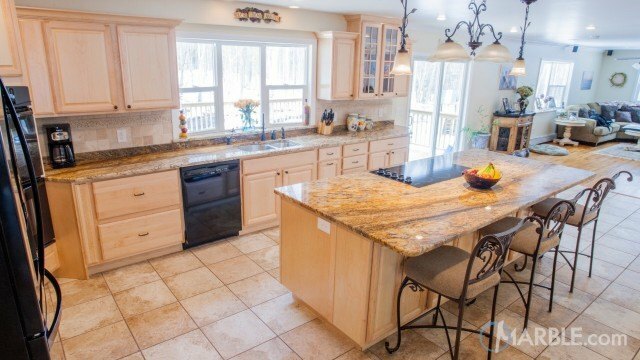 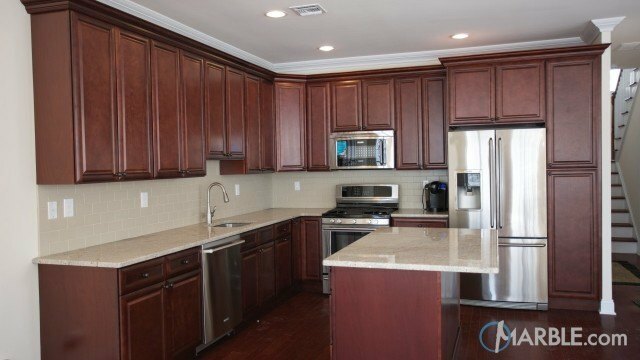 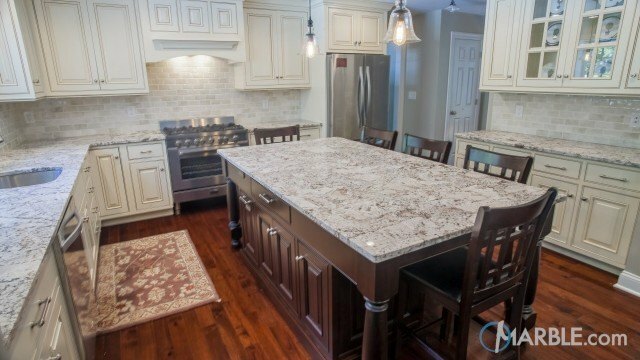 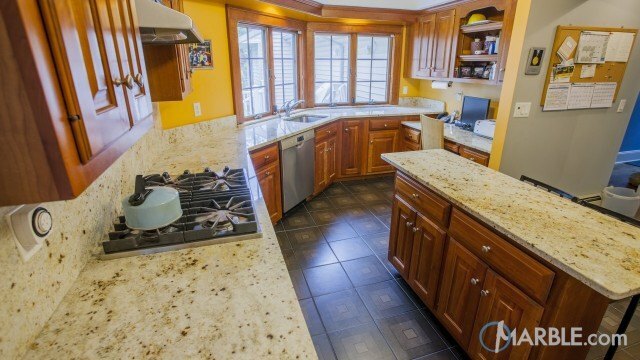 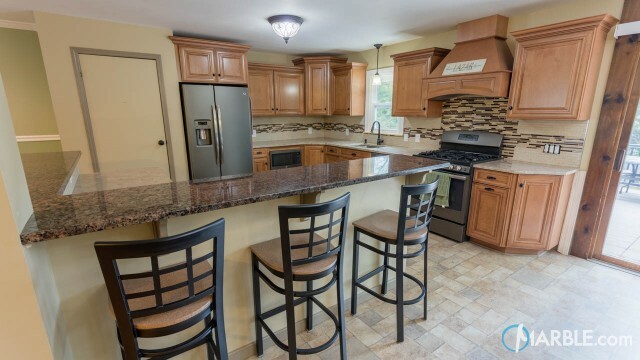 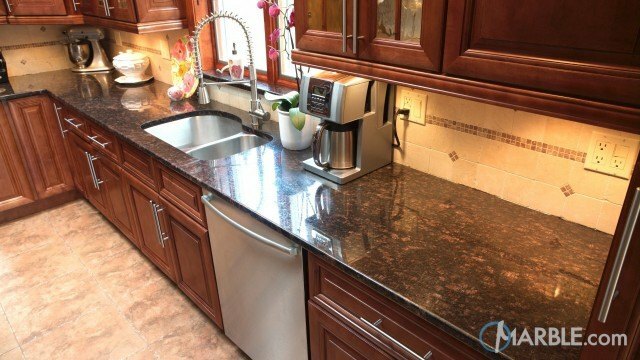 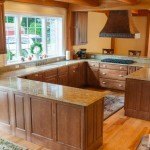 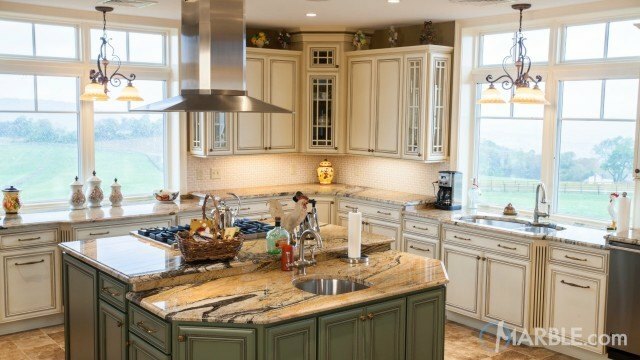 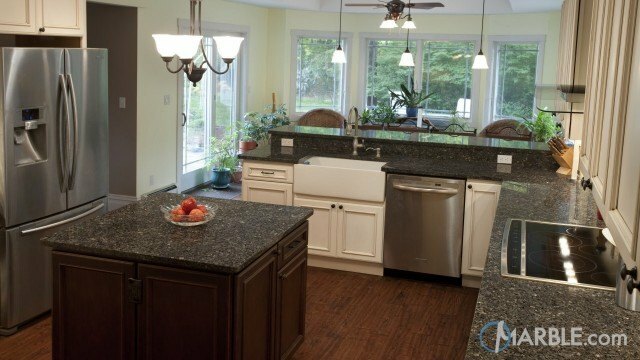 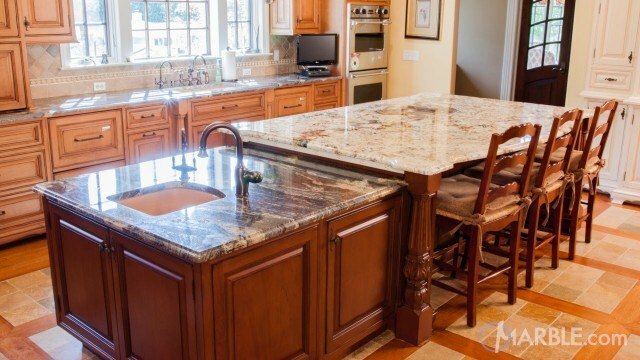 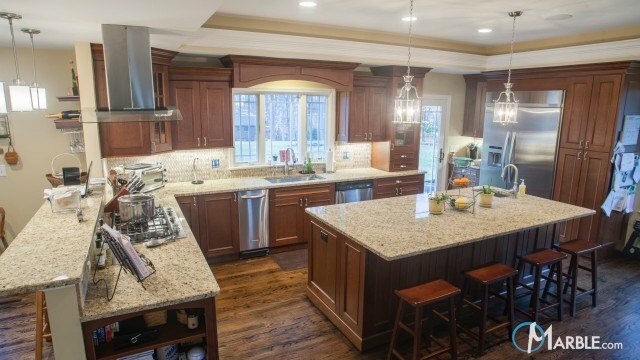 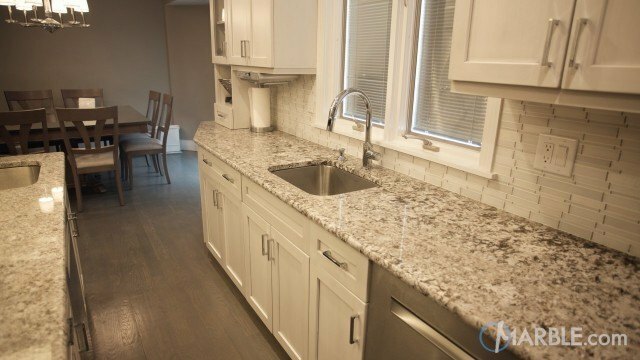 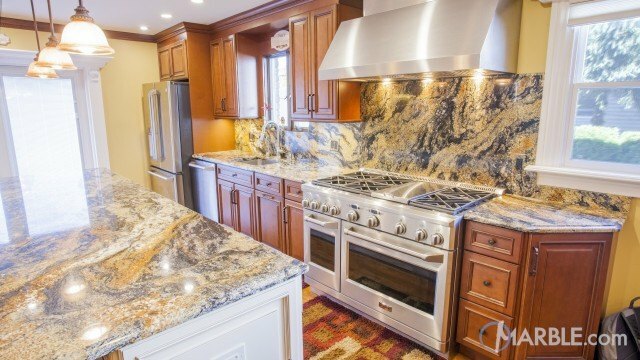 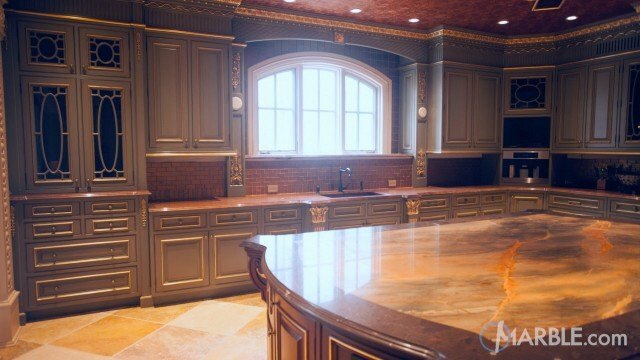 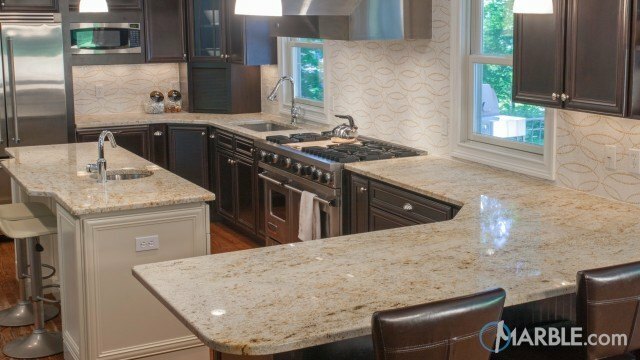 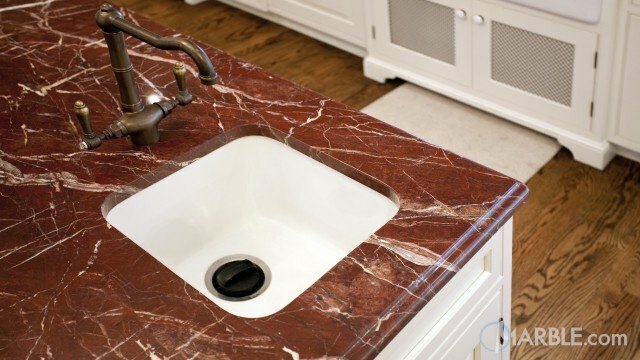 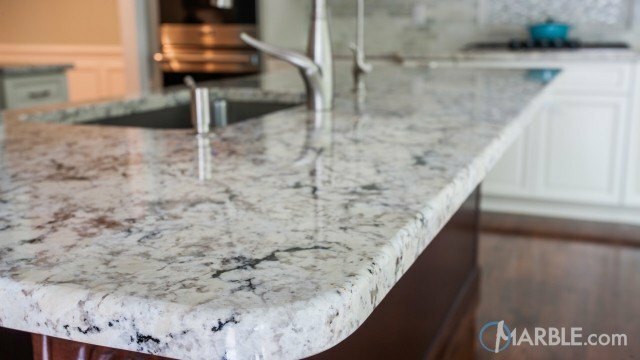 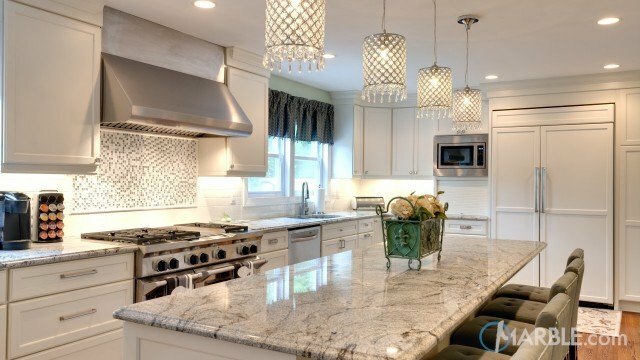 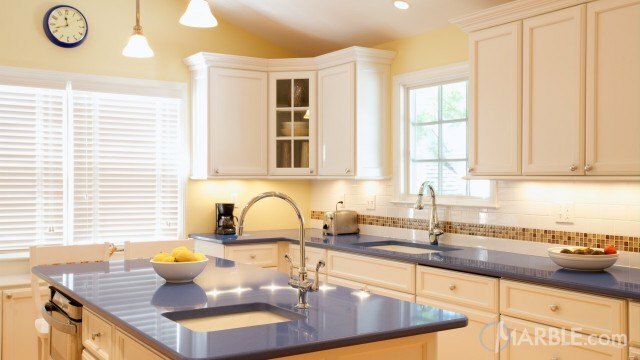 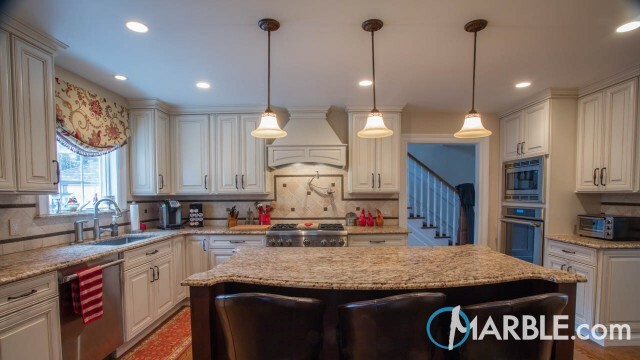 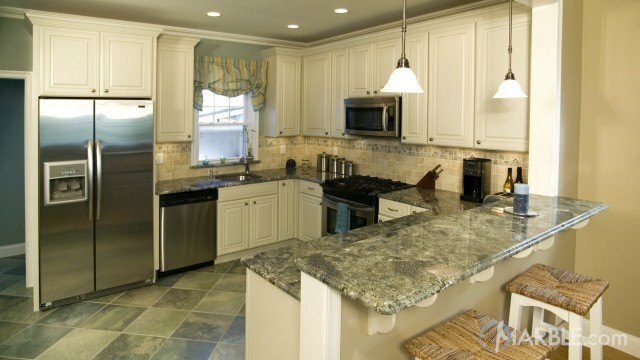 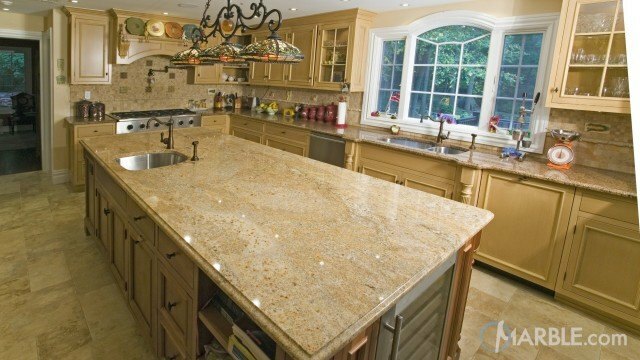 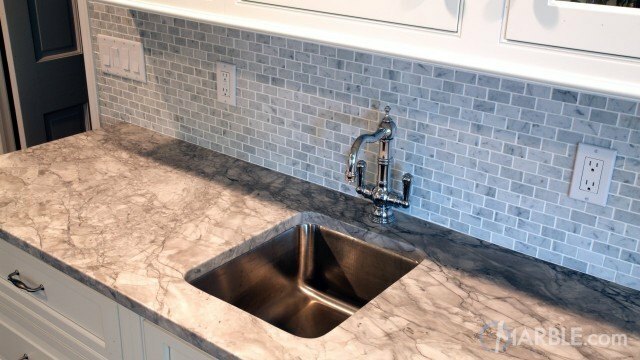 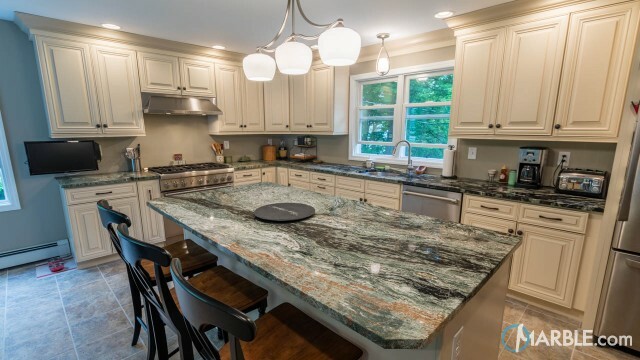 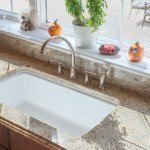 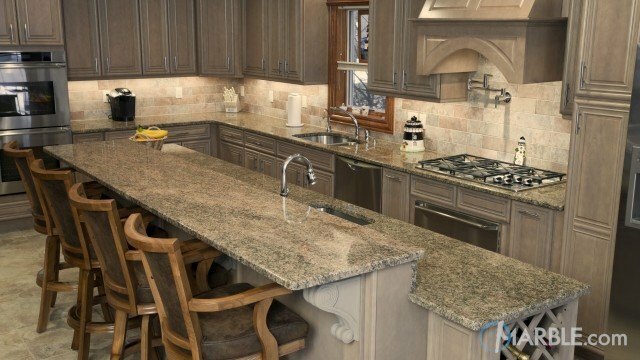 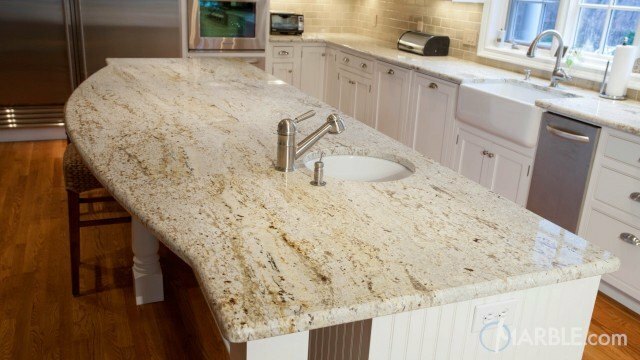 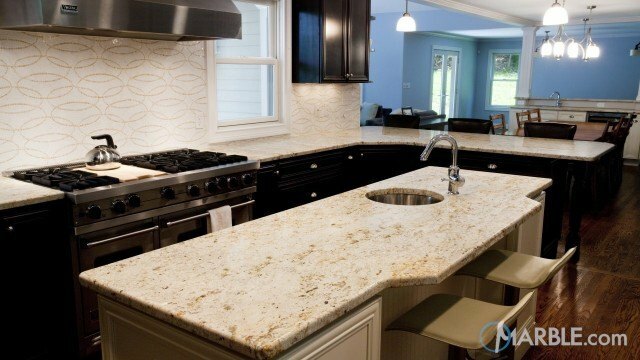 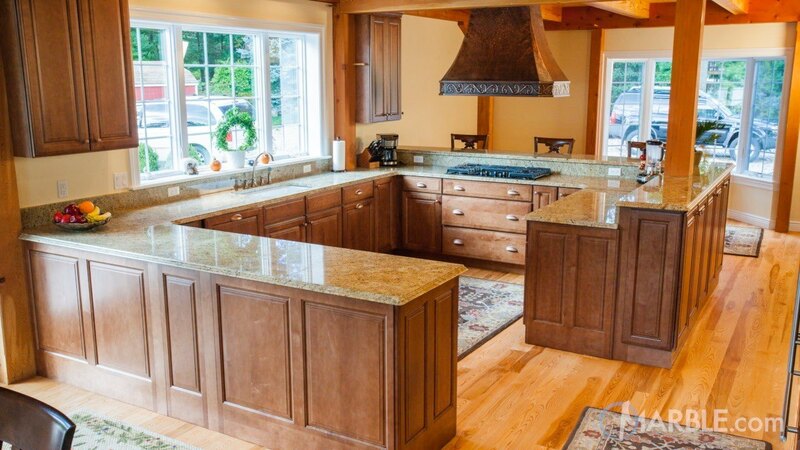 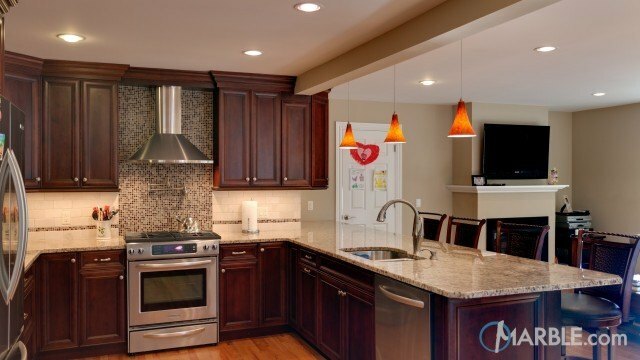 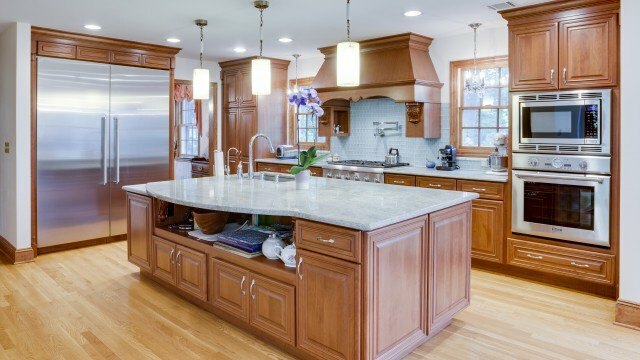 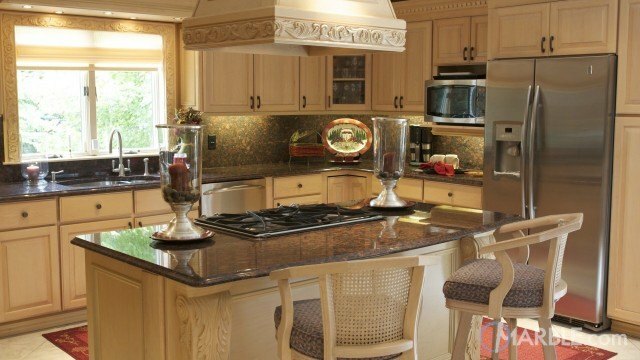 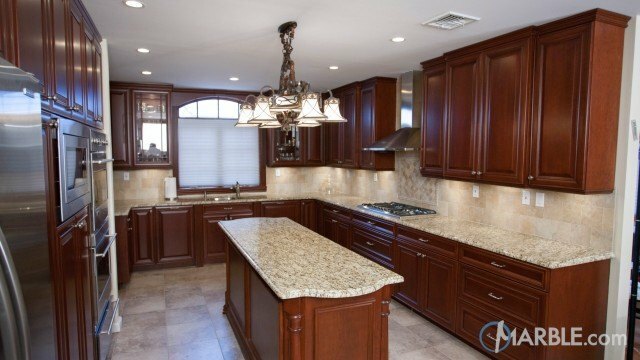 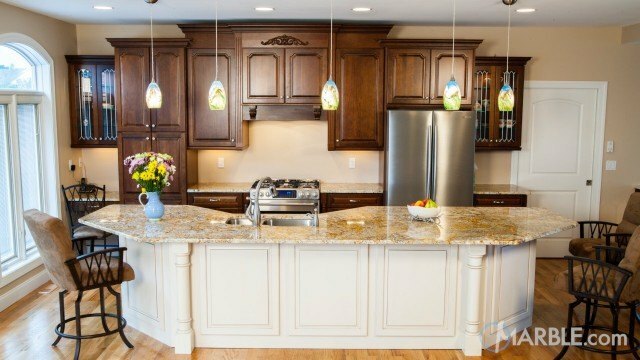 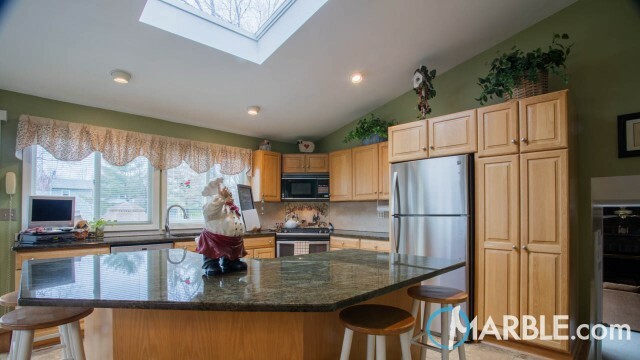 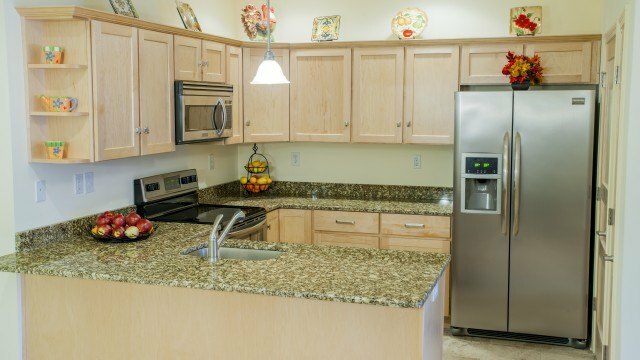 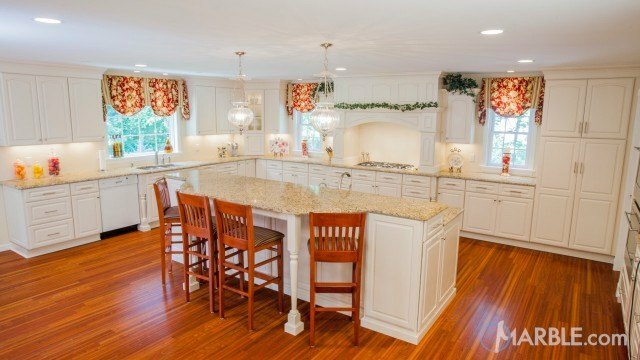 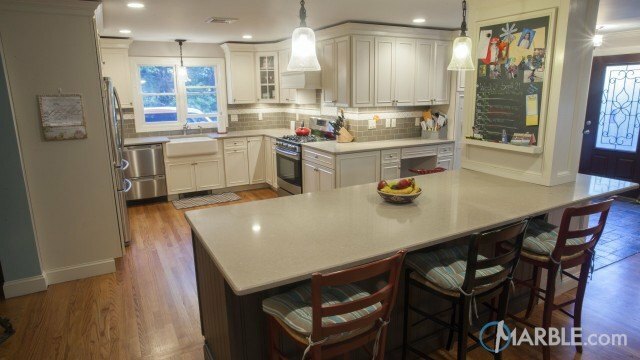 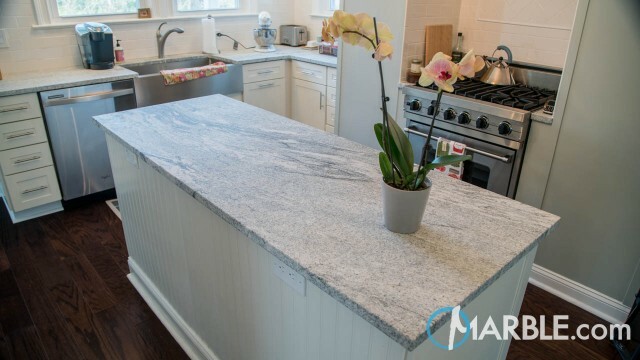 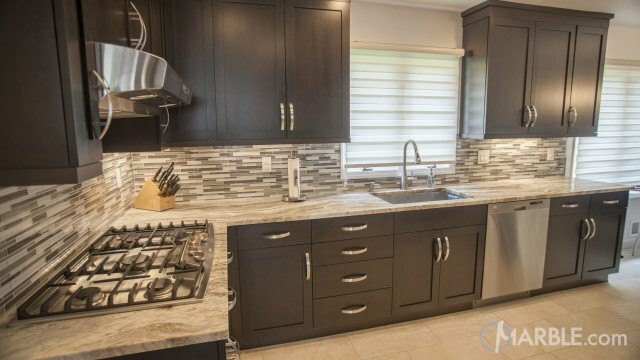 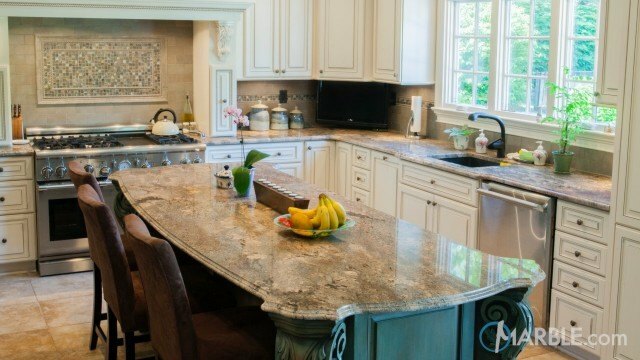 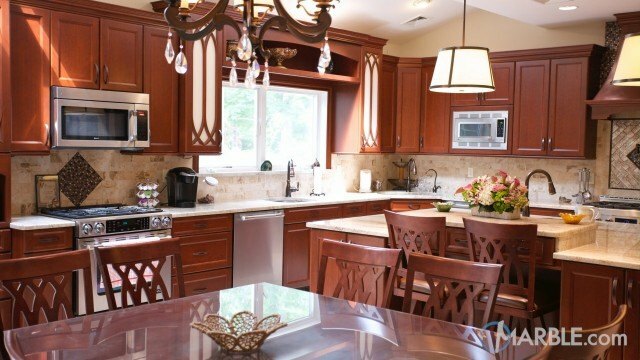 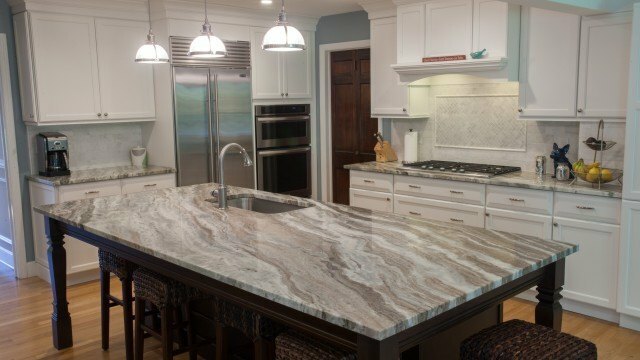 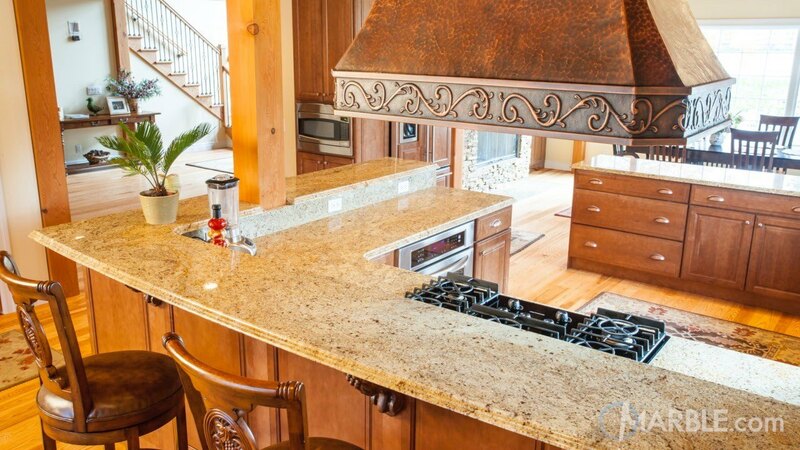 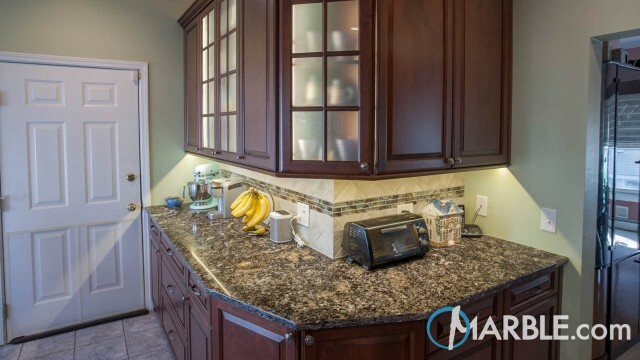 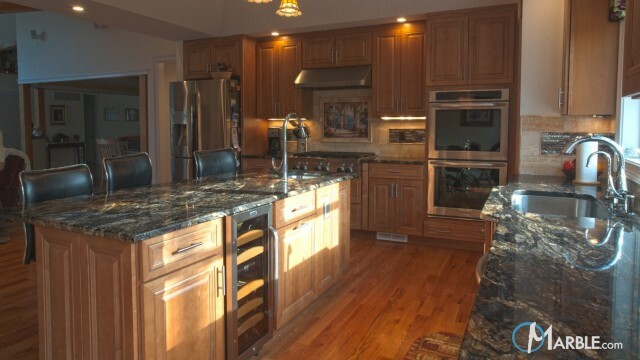 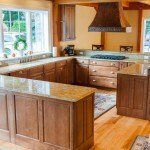 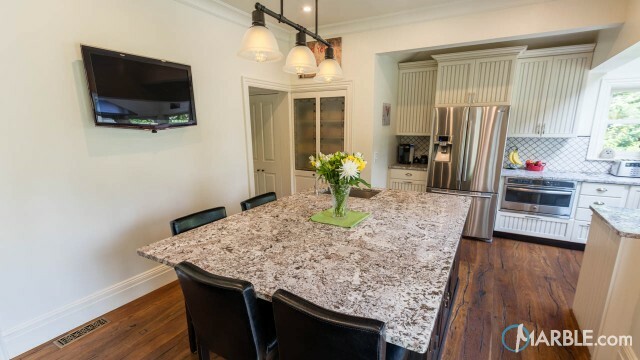 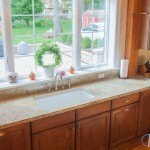 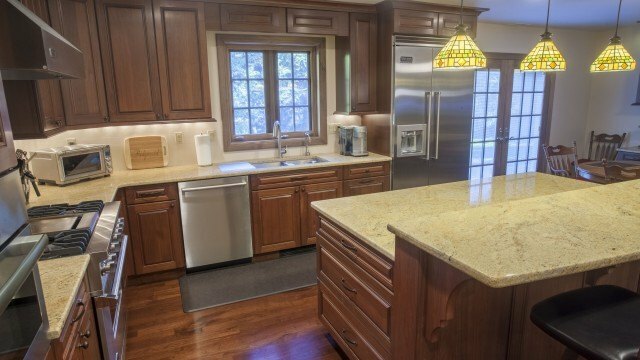 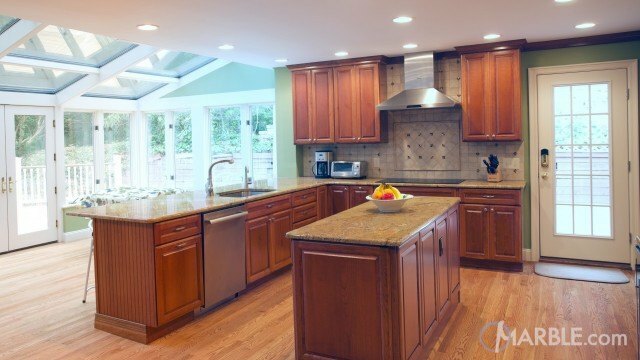 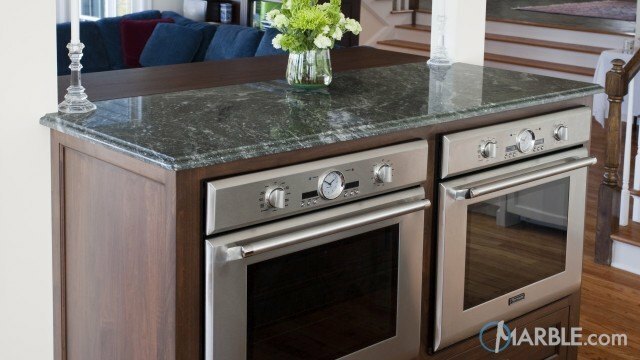 The Amba Gold granite is the perfect color for this kitchen space.